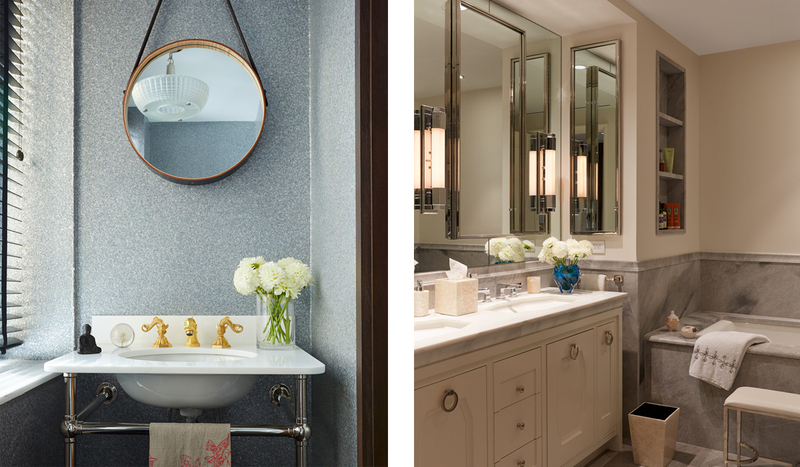 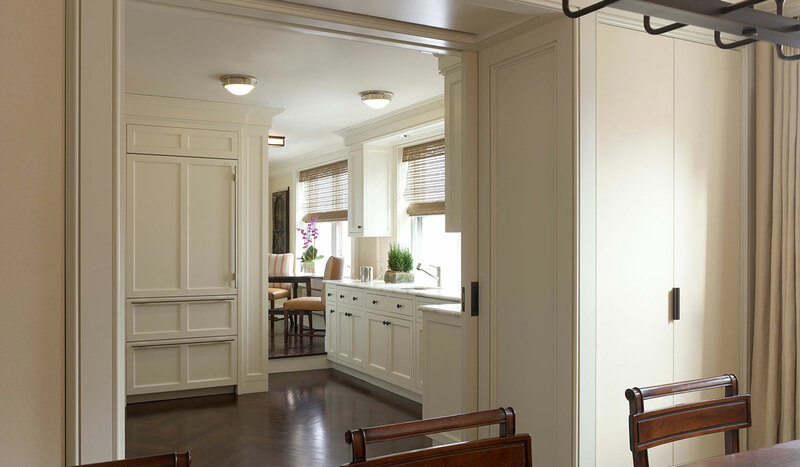 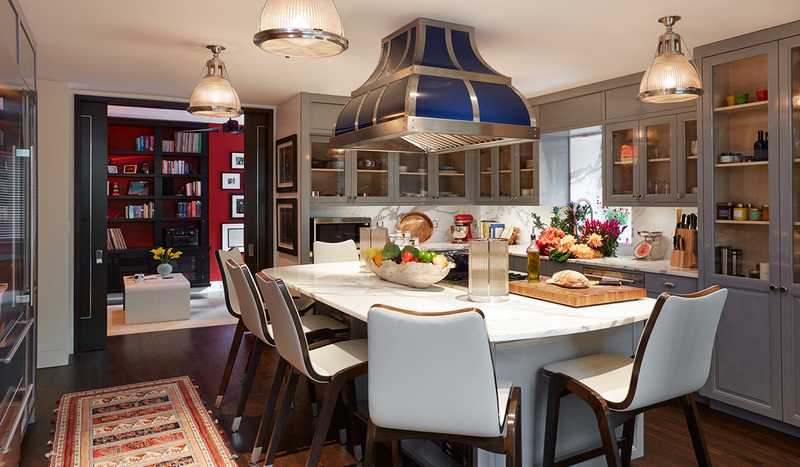 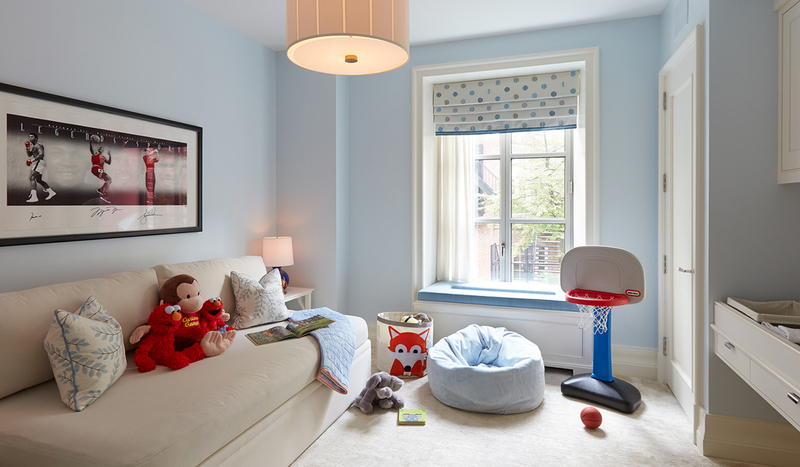 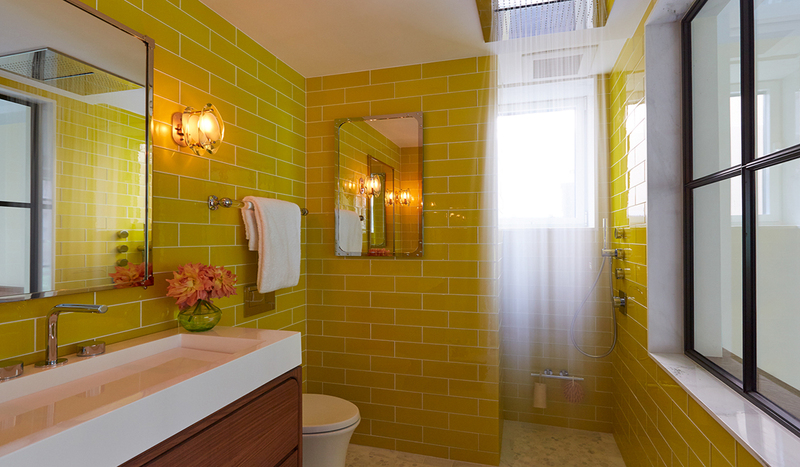 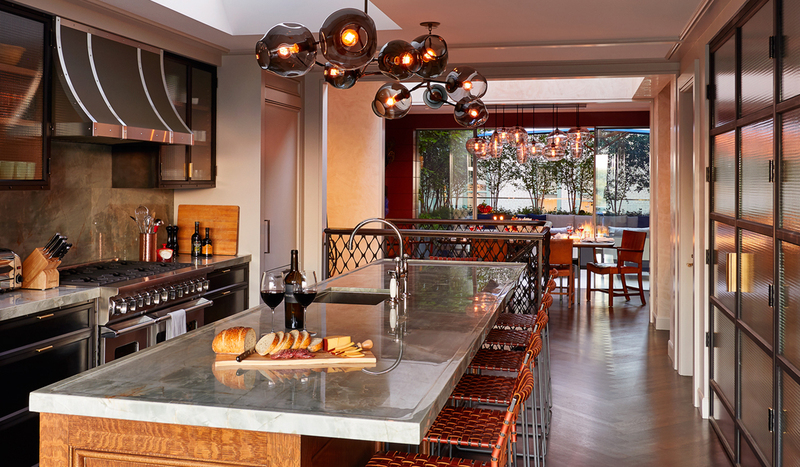 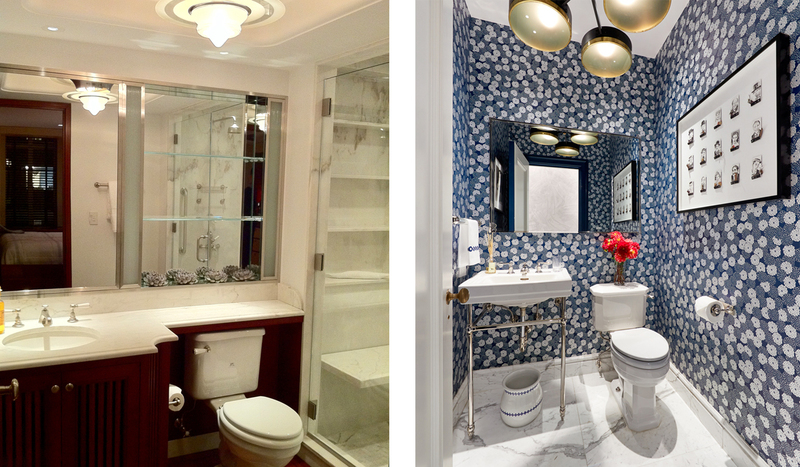 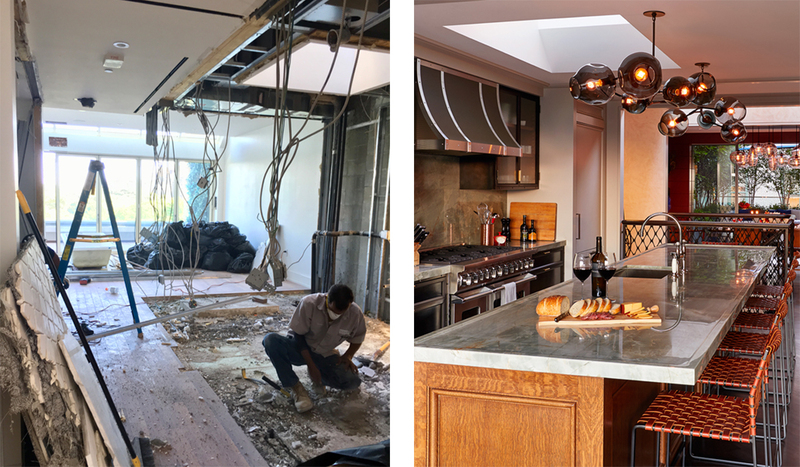 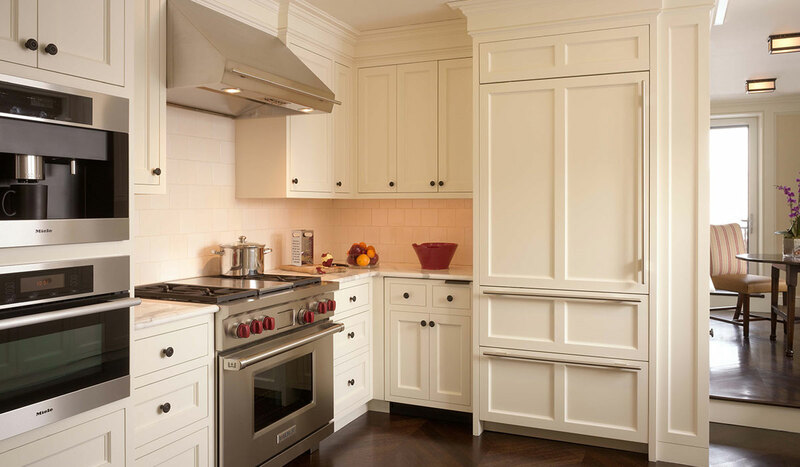 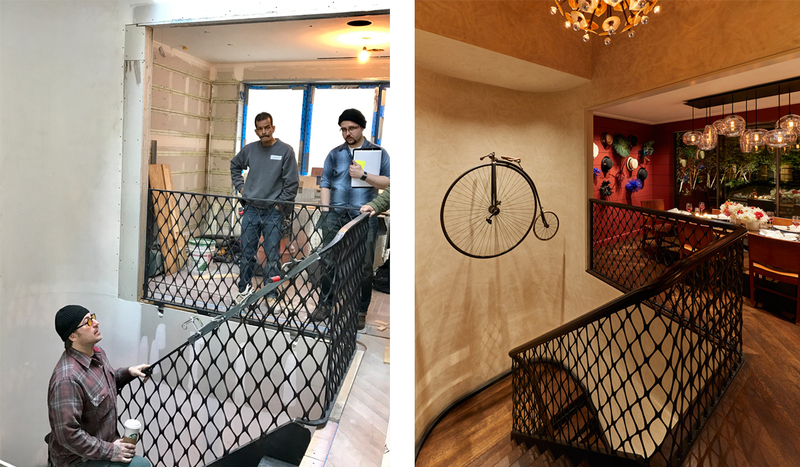 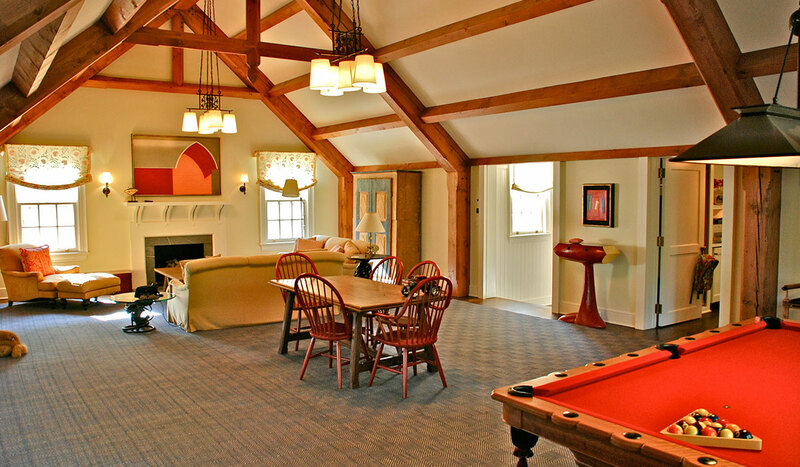 With all projects, large & small, we take great pride in providing a level of service that ensures our clients will receive a finished product that meets all of their design aspirations as well as functional needs. 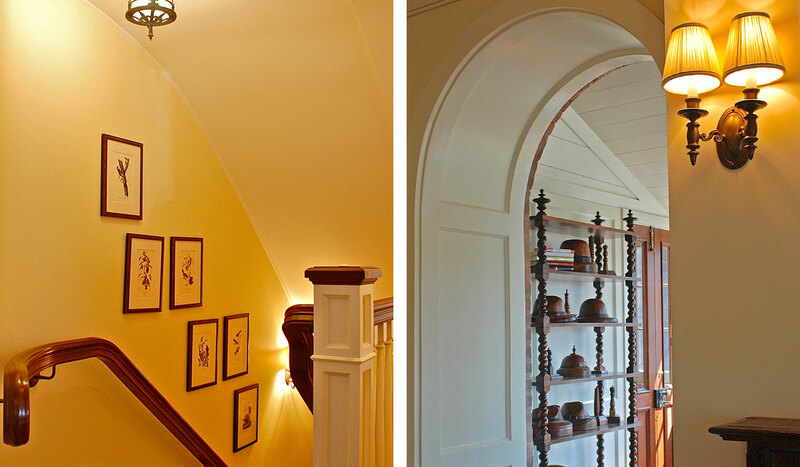 Regardless of project size, we devote the same attention to every detail as we would on any assignment. 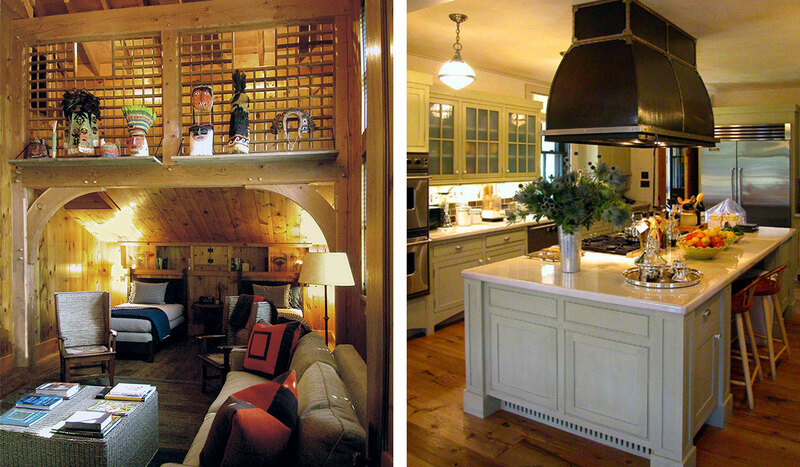 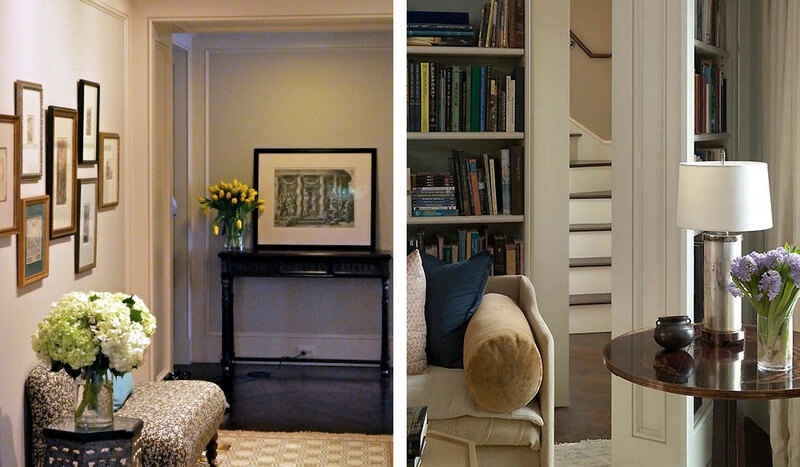 Here are a few examples of those spaces. 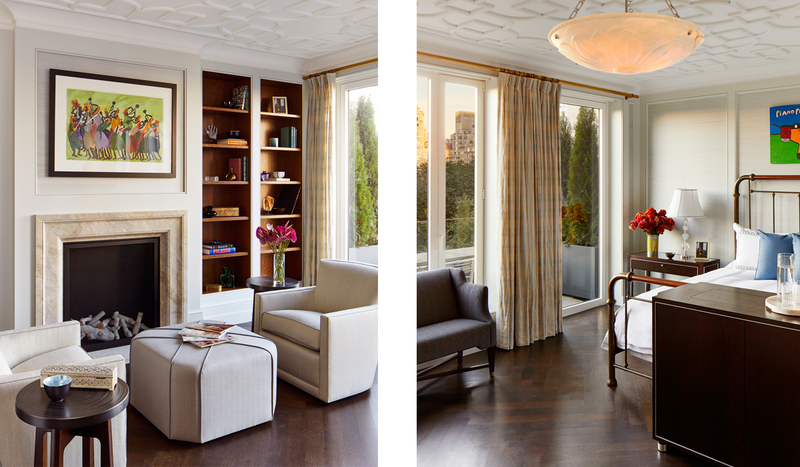 Within the recently reconstructed 1897 luxury stone building along New York City’s famed Central Park South, the architectural design and decorative furnishings of this multilevel penthouse apartment adjoining The Plaza Hotel with endless park views to the north were inspired by the variety of exposures to natural light, an open floor plan, expansive views and industrial materials of our city’s celebrated lofts and warehouses within the historic SoHo district. 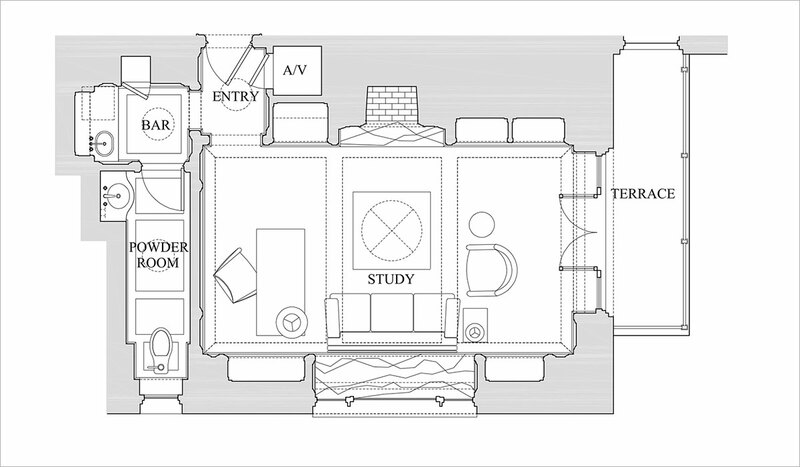 The duplex occupying the top two floors of the building is bifurcated by a prominent top floor for entertaining over a lower private level accommodating bedroom suites for both family and friends. 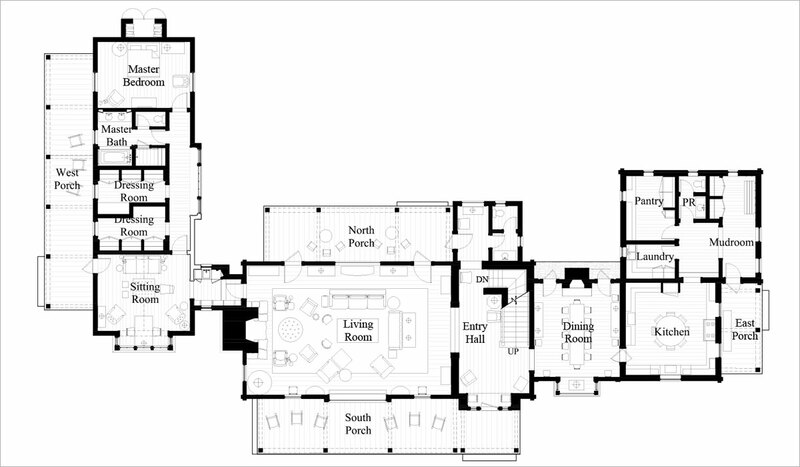 While the bedroom level is organized off a central hallway oriented north and south, the upper level is a completely open plan organized off a central communal kitchen with expansive glass to the northern terrace and Central Park beyond along with the tree lined terrace to the south. 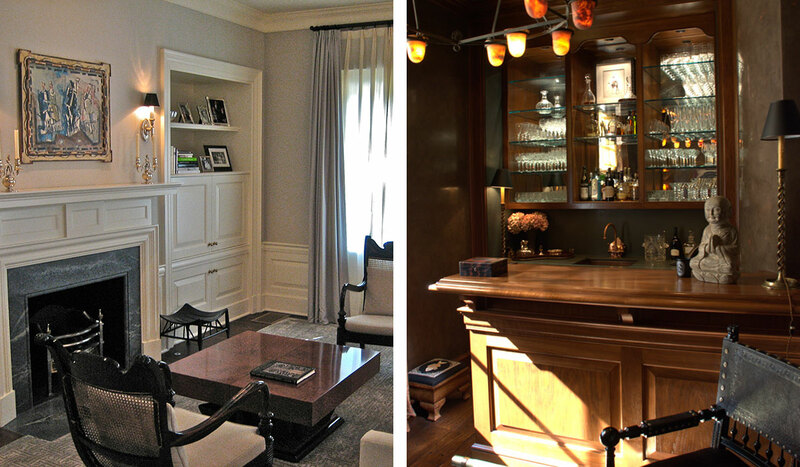 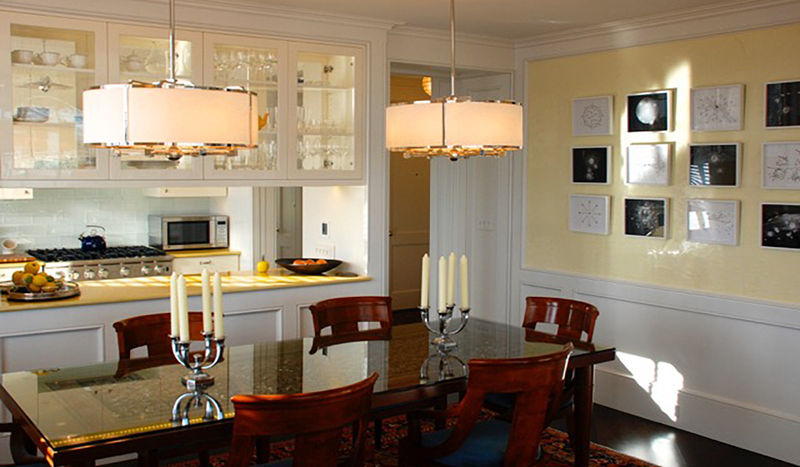 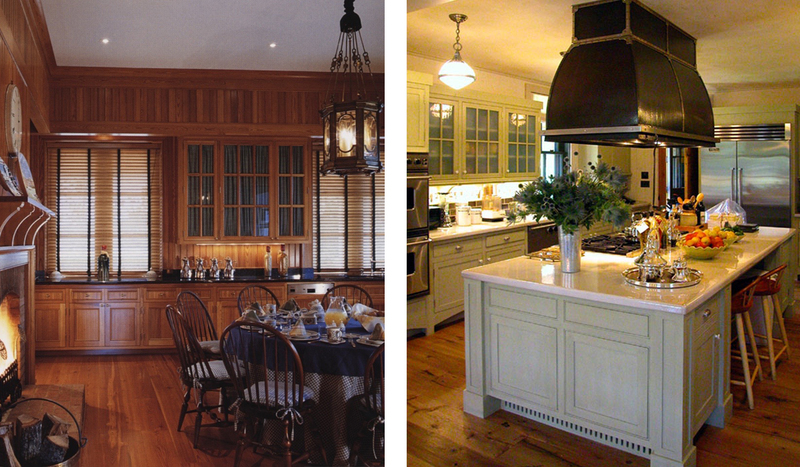 Both the interior finishes and decorative furnishings are contemporary in their application; however, the selected artisans and craftsmen constructed architectural details and custom furniture pieces inspired by our exploration into the connection, shapes and materials of factory mechanics reminiscent of the once idle city factories, but scaled and refined to the residential interior. 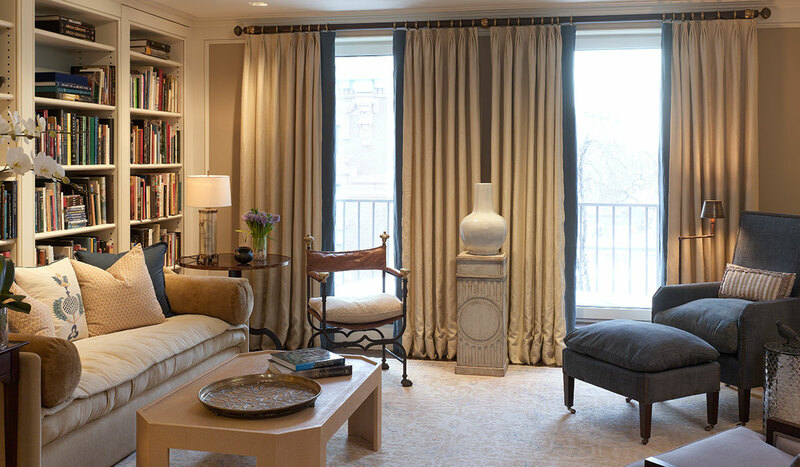 The architectural design and decorative furnishings of this apartment within the formidable new stone luxury building on the Upper Eastside along Park Avenue were inspired by the historic Regency period flourishing in England in the early 1800s. 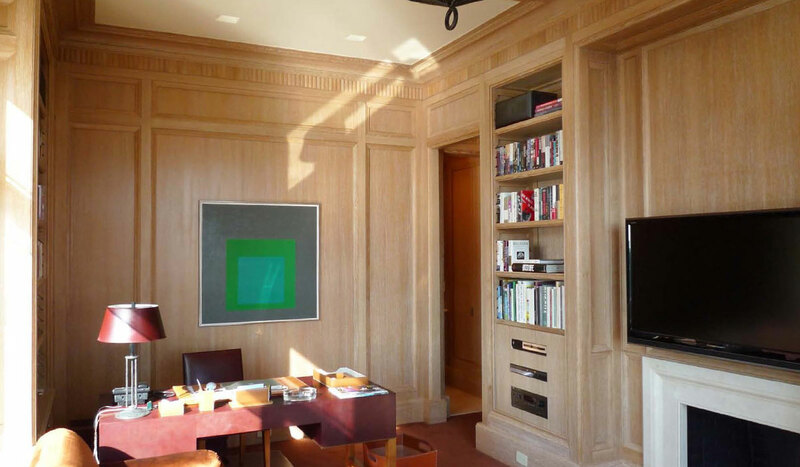 The maisonette is organized by a series of public rooms linked along the expansive windowed south facade, while privatizing the family quarters to the north by means of a private interior corridor. 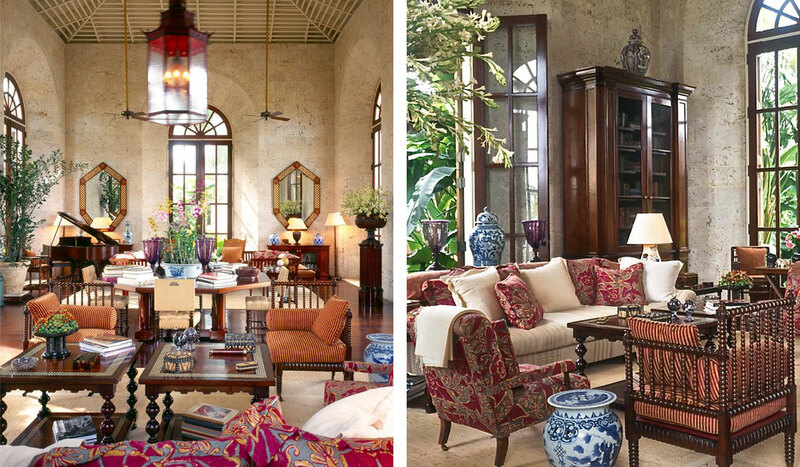 While the inspired decorative furnishings share a likeness to an English era long ago with a contemporary twist, the newly formed art collection is of artist originating both domestically and within Europe during the span of the 20th Century. 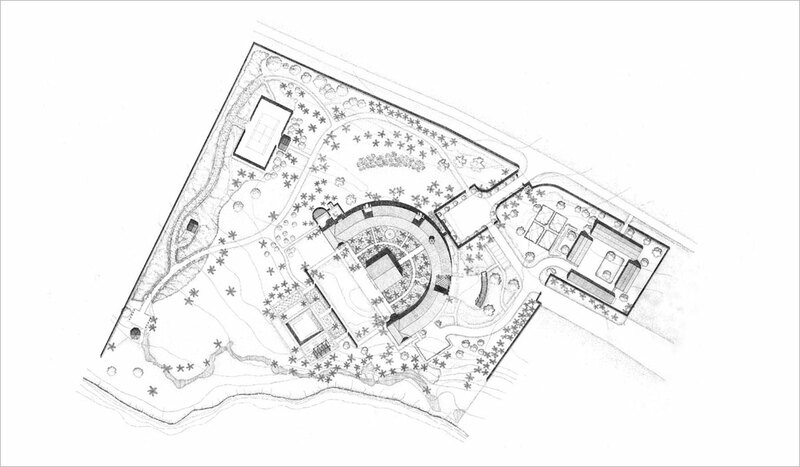 The original design of the 33,000 square foot coastal retreat on a 10-acre site included a large ten bedroom villa, swimming pool, beach pavilion, tennis facility, staff quarters, service buildings, Chinese pagoda, orchid house and surrounding gardens. 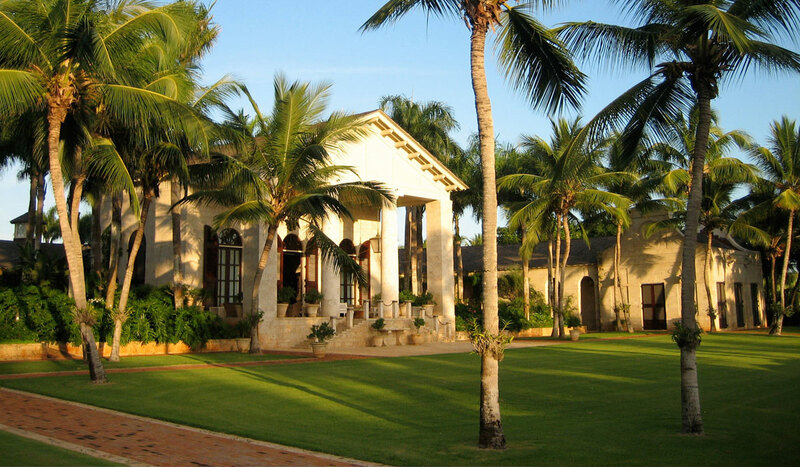 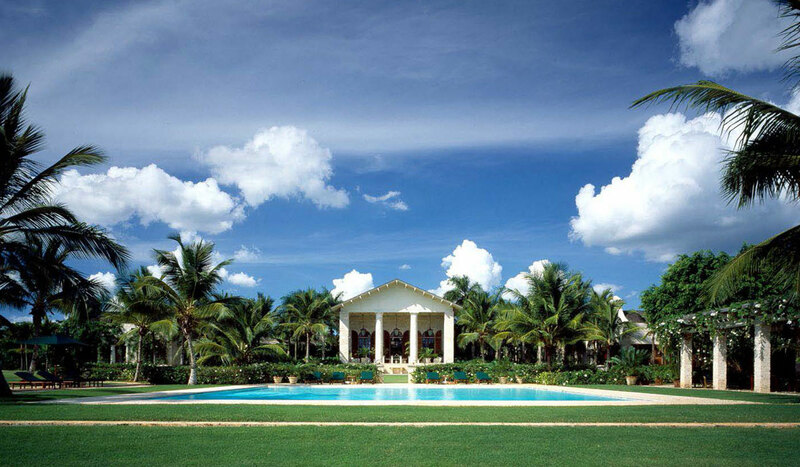 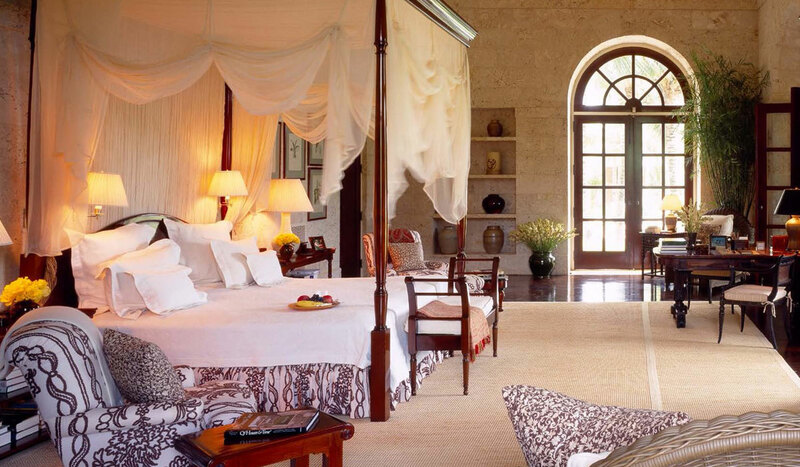 The buildings are environmentally responsible and fortified with the construction of native coral stone, wood shingled roofs, local mahogany doors, windows with shutters and the orientation of the buildings to integrate with the region’s tropical climate along the southern shores of the Dominican Republic. 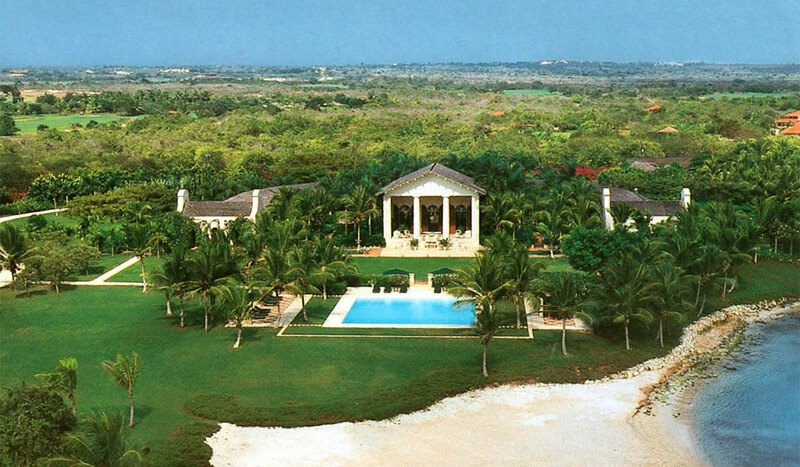 Fifteen years later under new ownership, a renovation of the contemporary villa and its service dependences was completed along with the addition of several events pavilions and gardens. 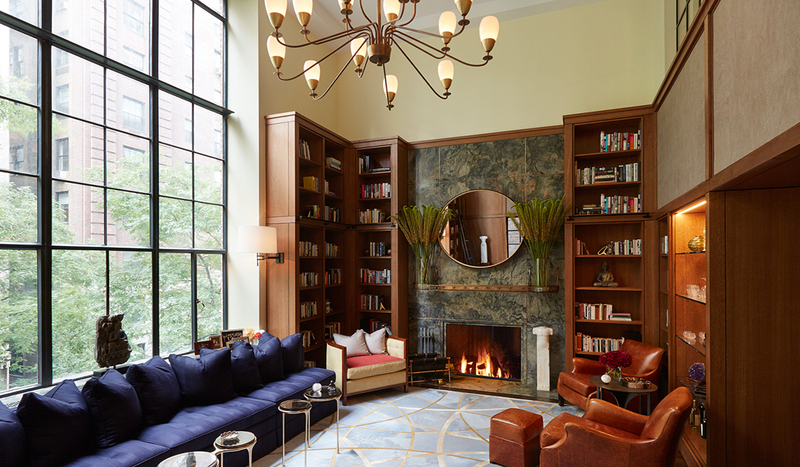 Following the completion of Hotel des Artistes by the architectural firm of Rich & Mathesius in 1916, the duo turned their attention across the street to establish a complementary building for painters and sculptures overlooking Central Park. 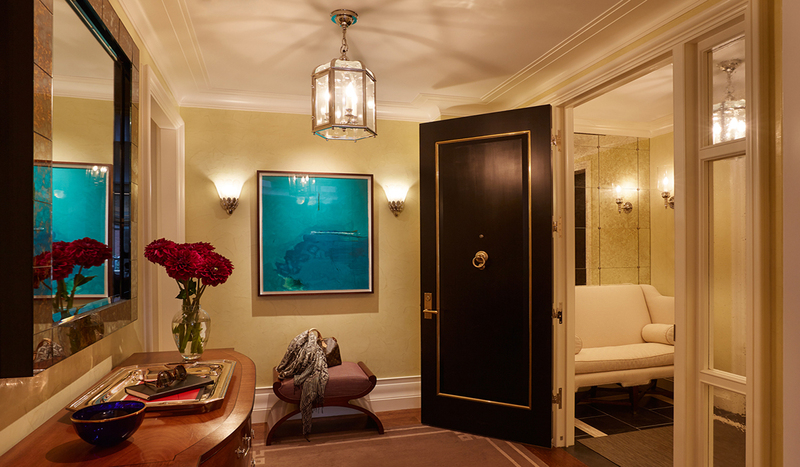 Now a cornerstone building for the Central Park West Historical District and one of New York City’s landmark streets, the architectural design of the duplex was inspired by the avant-garde industrious American designers of the early 20th century to echo the building’s façade work. 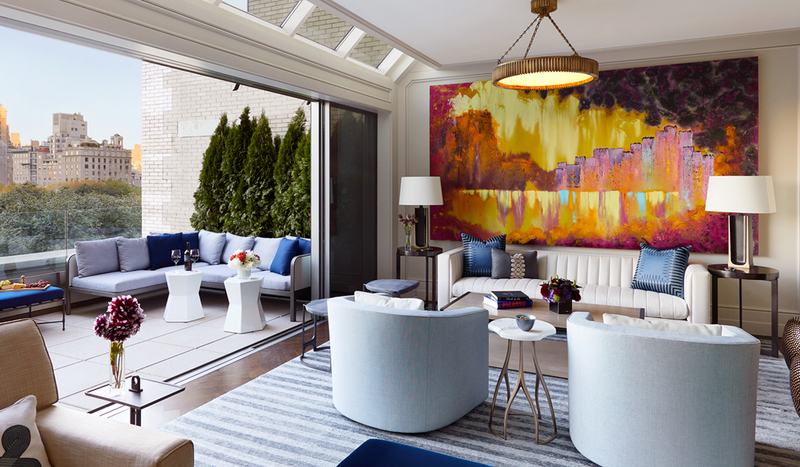 The abundant northern light illuminates what was originally conceived as an artist’ painting studio with twenty-foot ceilings is now surrounded by industrial steel fenestration, oak paneling and an extensive book collection. 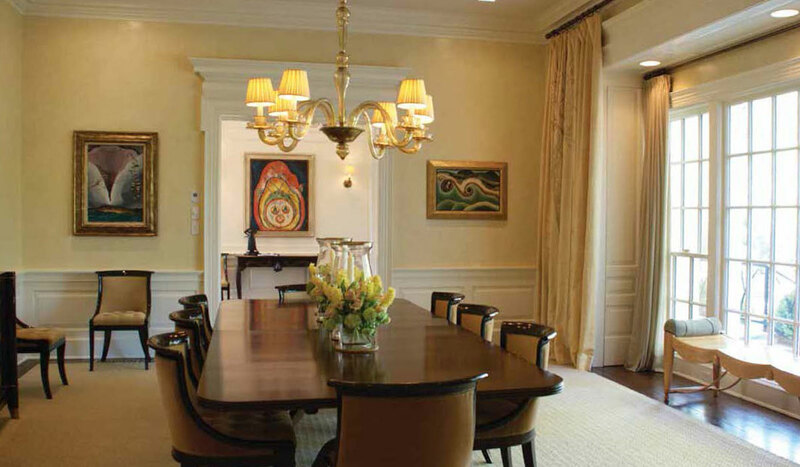 This majestic room remains the centerpiece of the parti at both levels, allowing all public and private supporting rooms to play off its prominent scale, while allowing additional filtered light from the southern and western exposures. 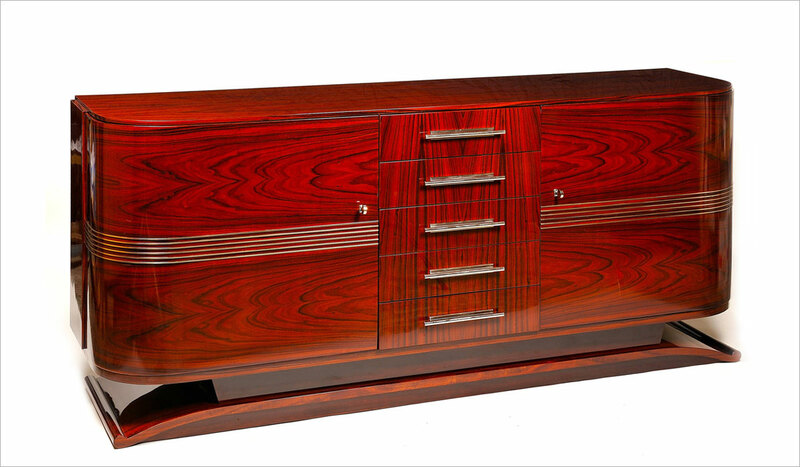 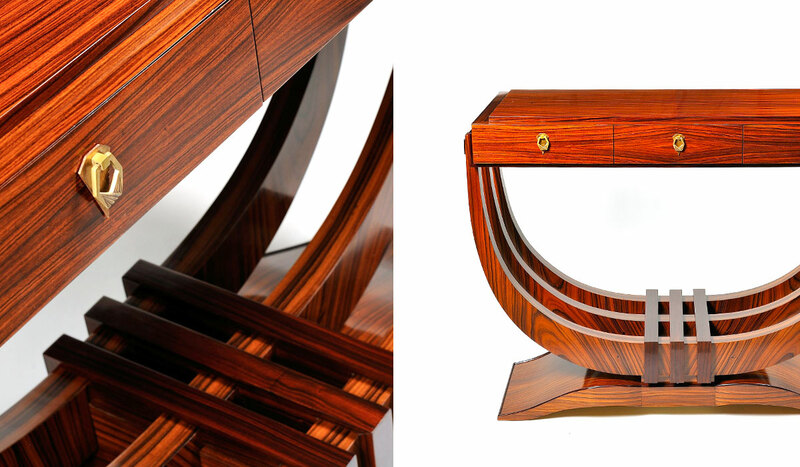 The majority of the hand crafted furnishings are inspired by either an inventive use of materials by craftsman as decorative objects or as a celebration of scientific elements in our surrounding natural environment, all refined by artisans. 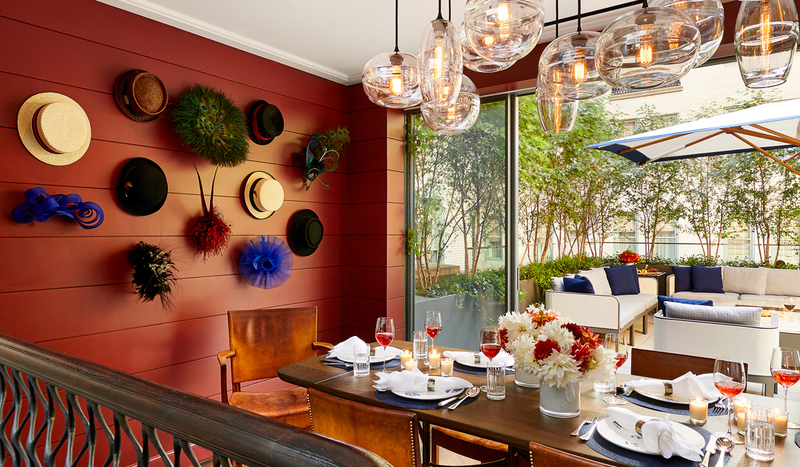 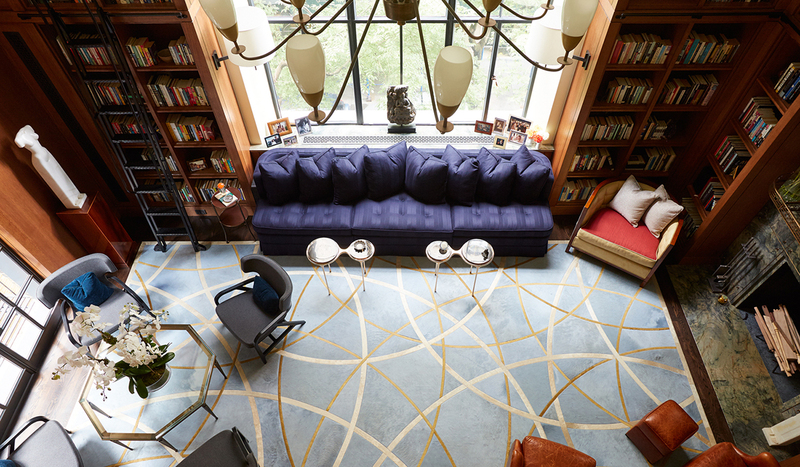 The collection of custom designed furniture, rugs and bronze work throughout the apartment includes contributing works by Jacques Adnet, Just Anderson, ironwork of Edger Brandt, and glasswork of Rene Lalique to enforce the clarity and function of the architectural elements. 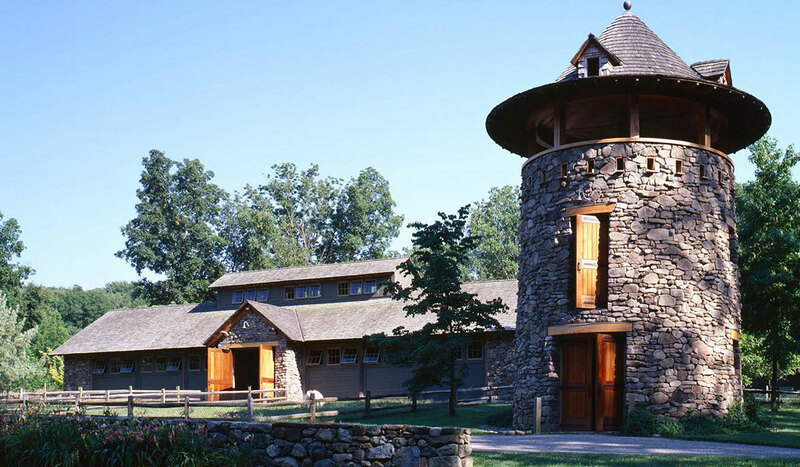 The master plan for a 51-acre woodland site along the Croton Reservoir and comprehensive architectural services for a collection of stone and timber animal barns and service buildings, rustic lodge and a wooded aviary are reminiscent of the early 19th century great summer camps along New York State’s Finger Lakes region. 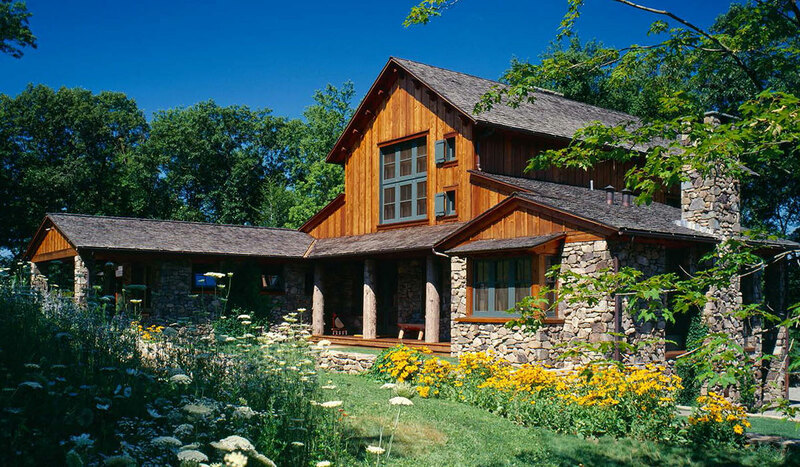 The refined Adirondack-style mountain lodge is set among the trees on a steep slope providing panoramic views overlooking wildflower meadows and wooded pastures of exotic animals from the Serengeti. 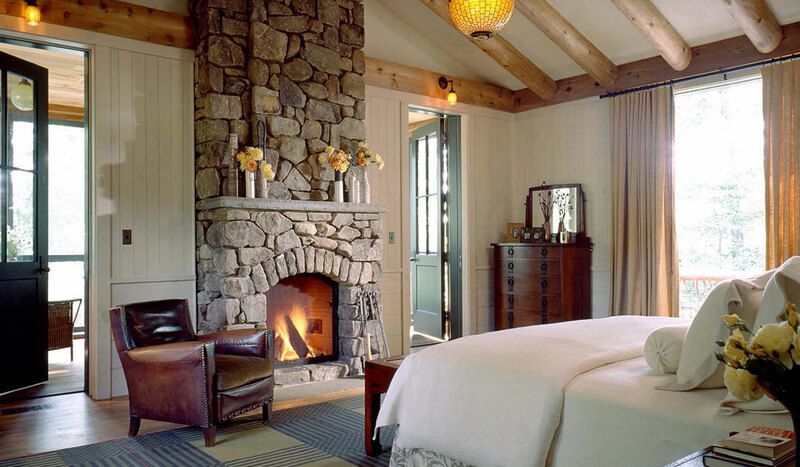 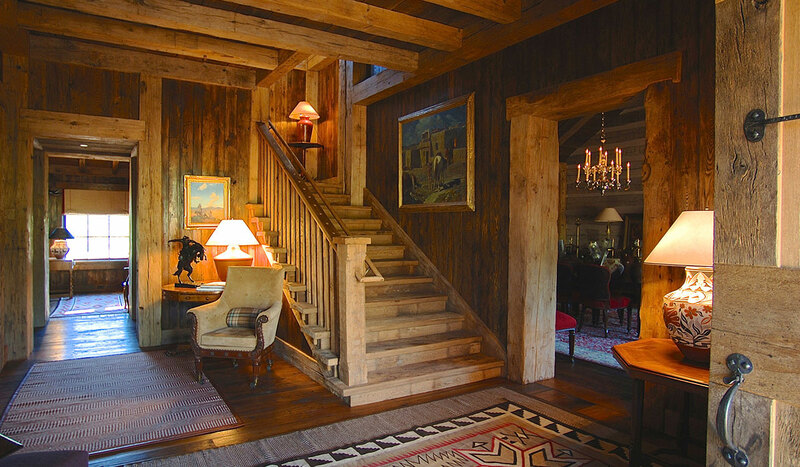 The construction methods are a traditional mixture of barked logs, reclaimed Douglas Fir timber framing, native fieldstone and rustic woodworking, which combine to create a bucolic and luxurious year round retreat. 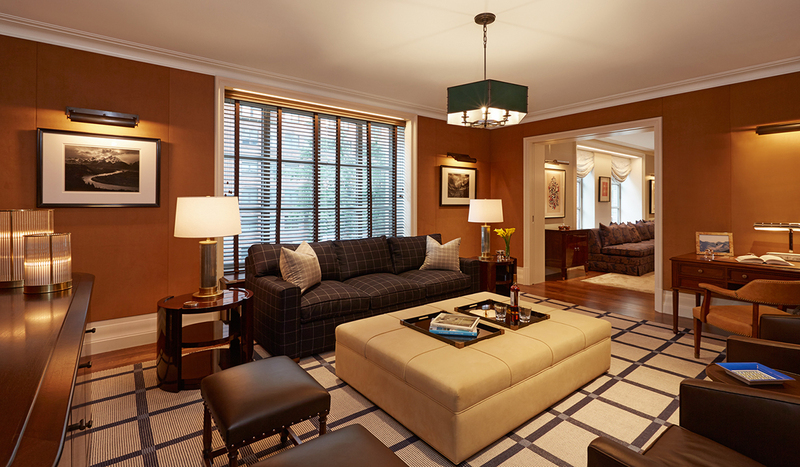 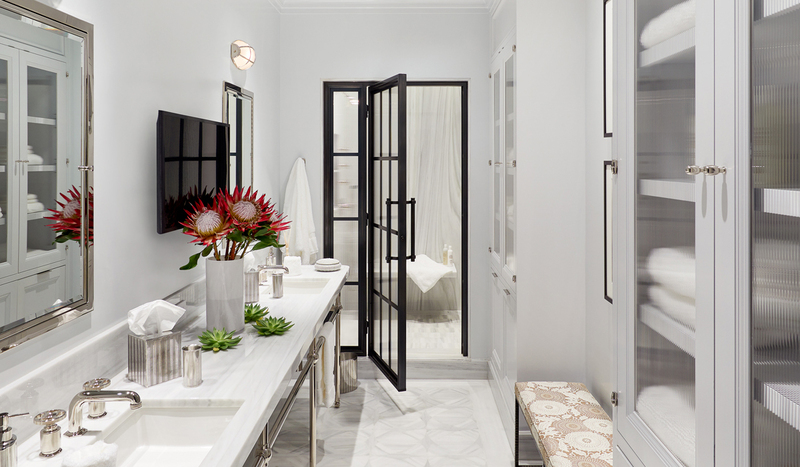 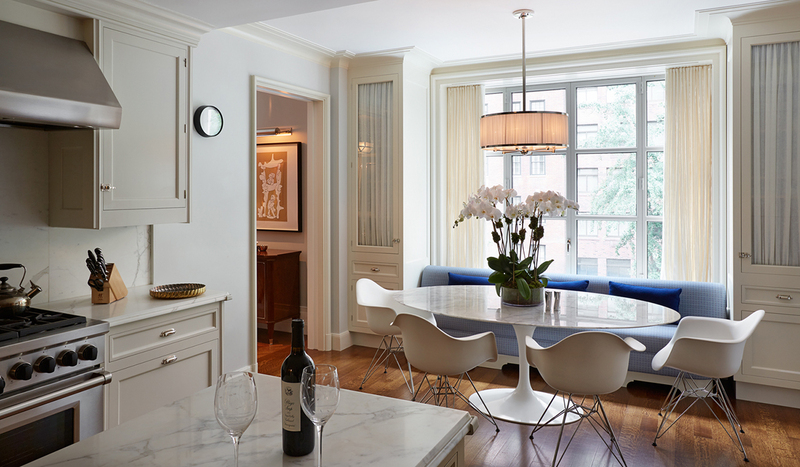 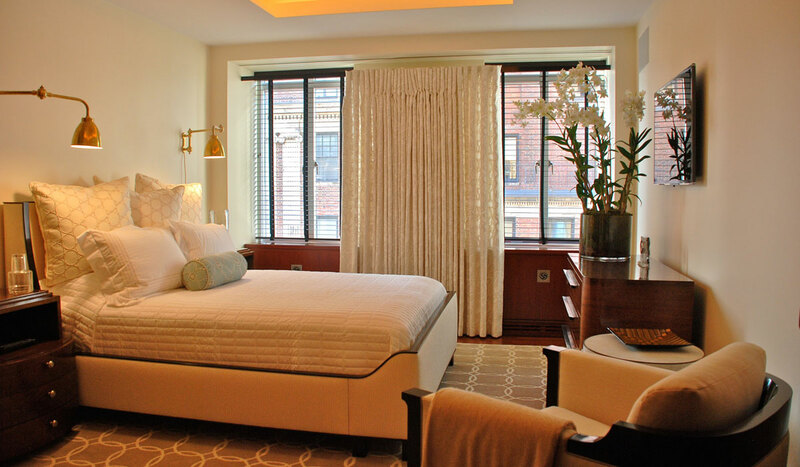 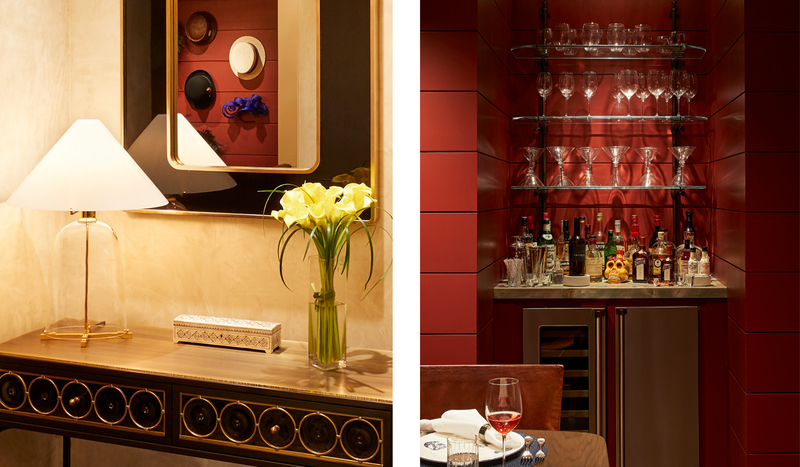 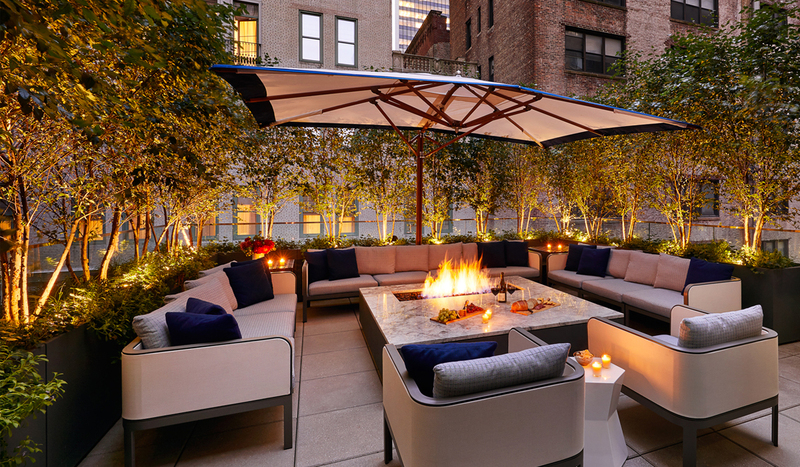 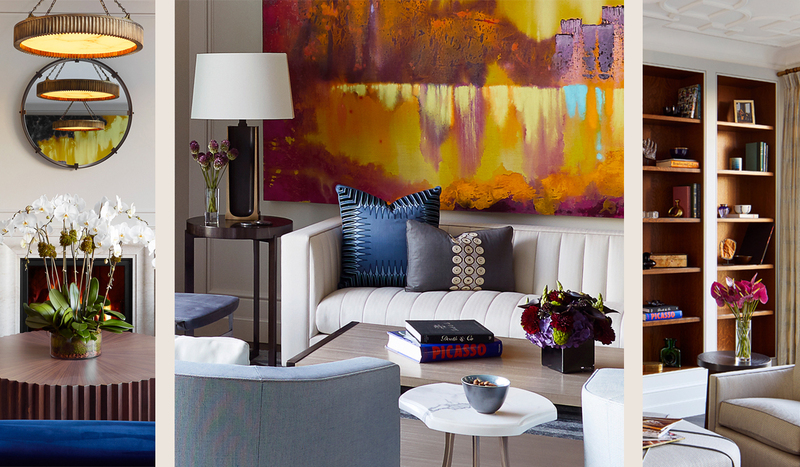 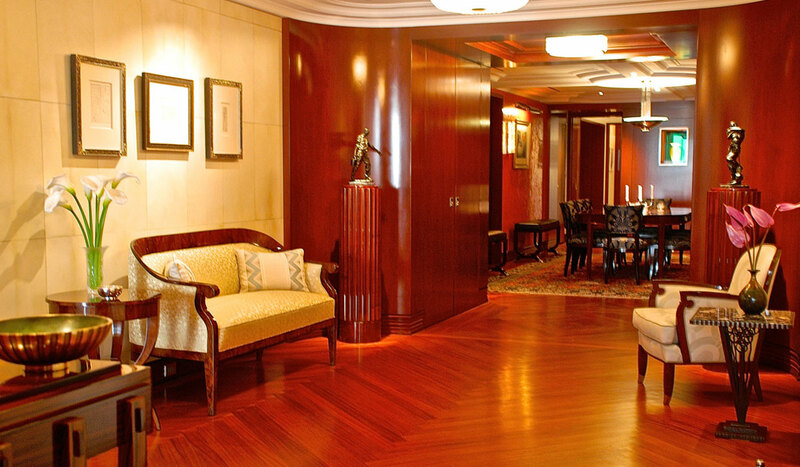 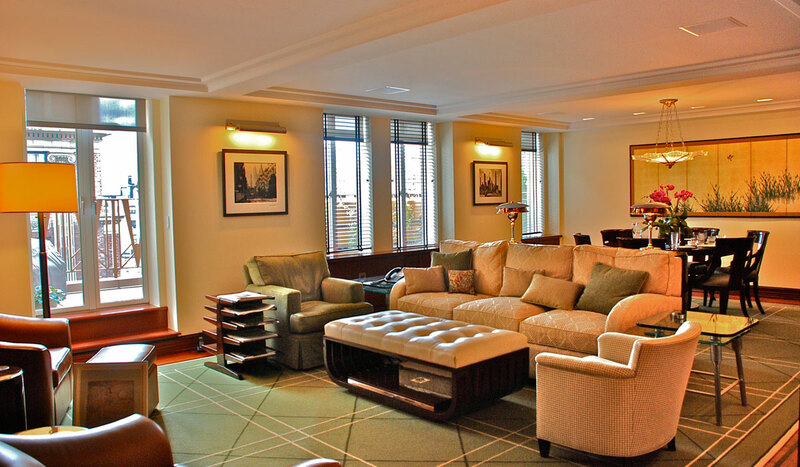 The architectural design and decorative furnishings of this apartment within the historic landmark Art Deco luxury building on the corner of 72nd and Central Park West were inspired by both the avant-garde French artisans of the decoratifs et industriels moderns and the industrious American designers of the 1930s to early 1950s stateside. 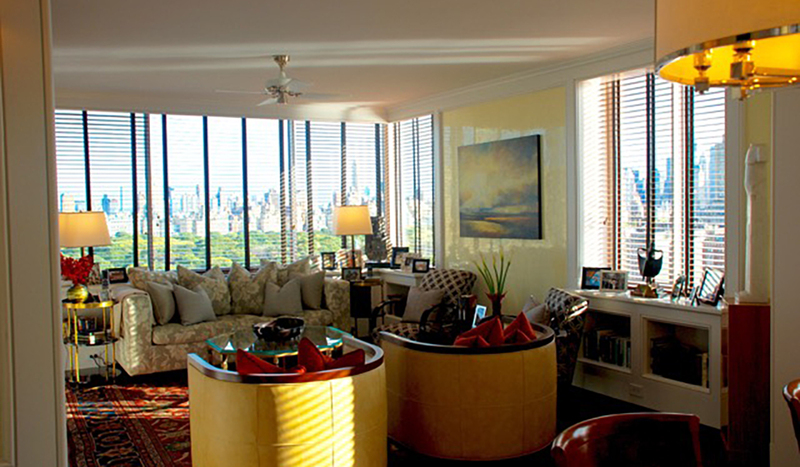 Framing panoramic views of Central Park and the southern skyline of midtown, the combining of the two apartments is organized by a series of adjacent rooms linked by the hourglass shaped interior spine. 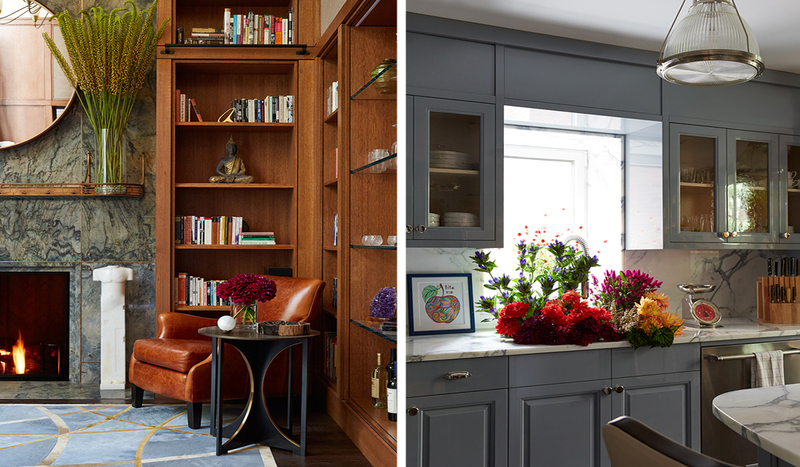 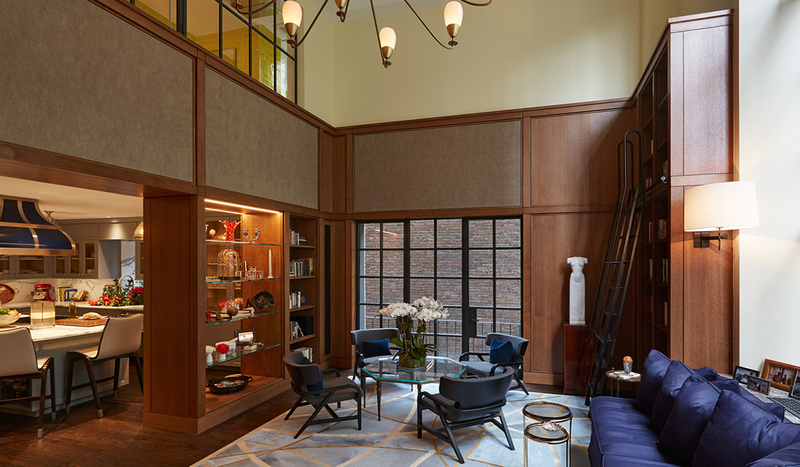 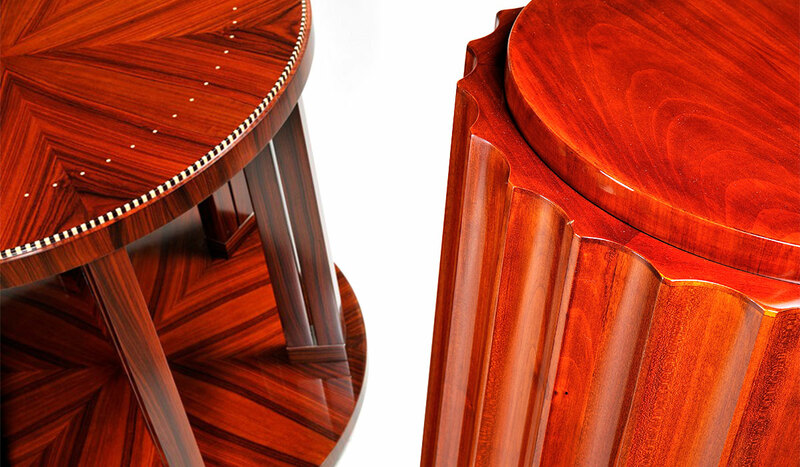 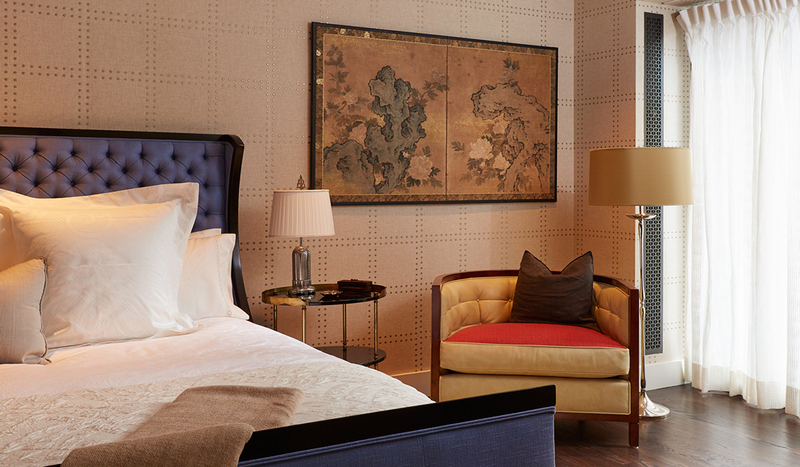 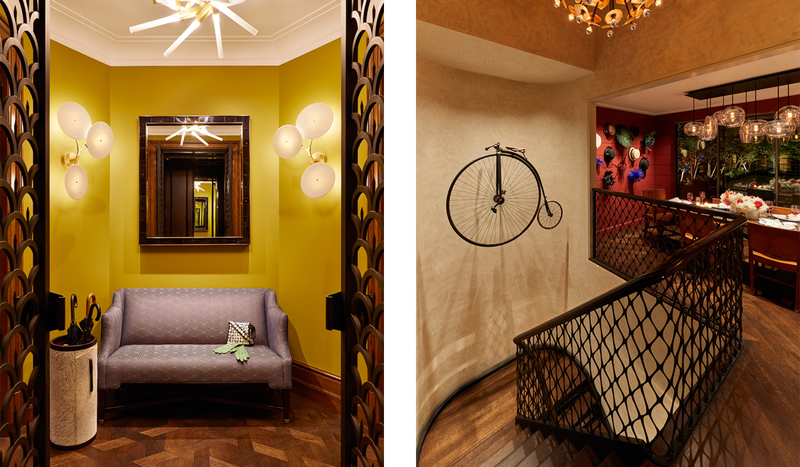 The collection of artisans featured in the renovation includes Dominique, Lelu, Wormley, Paul Kiss, Dorsky, Perzel and custom designed furniture crafted in Europe to reinforce the organization of the architectural forms and elaborate decorative furnishings. 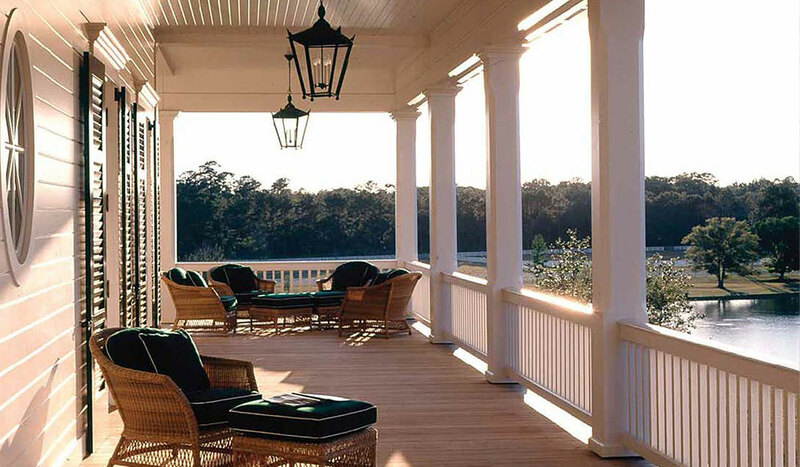 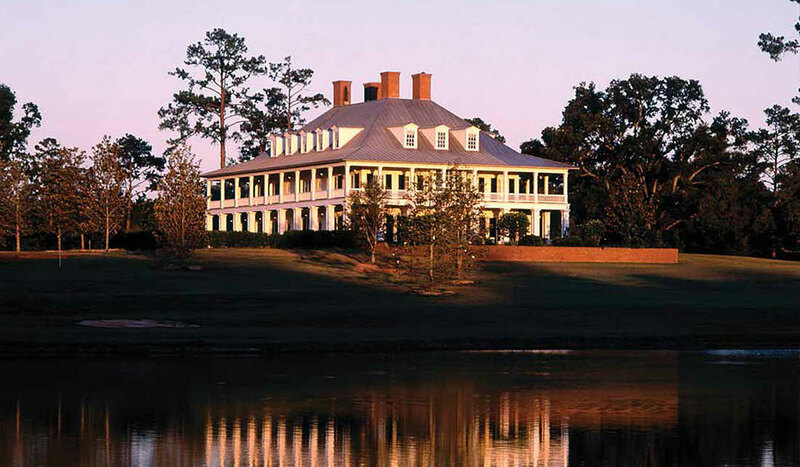 The master planning and comprehensive architectural services for this 4,500 acre southern quail plantation in the tradition of the 18th century Georgian low country Provincial Period include a ten bedroom colonial main house, shooting lodge, equestrian facility with twenty-one stalls, kennels and service buildings, as well as a series of interconnected lakes and trails leading to the hunting grounds. 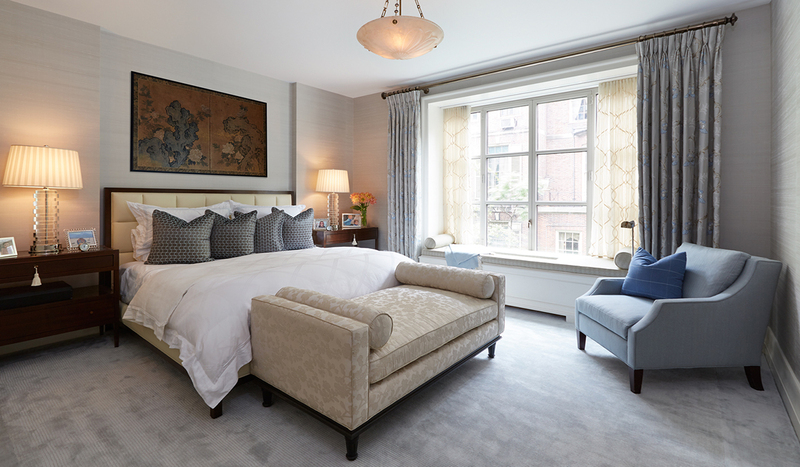 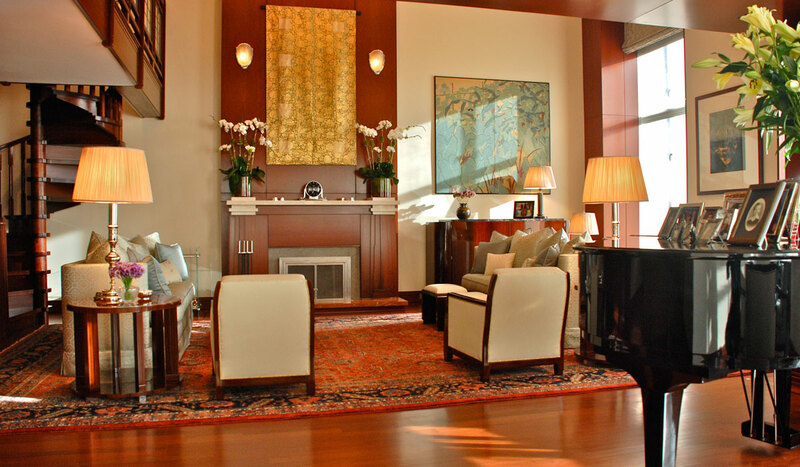 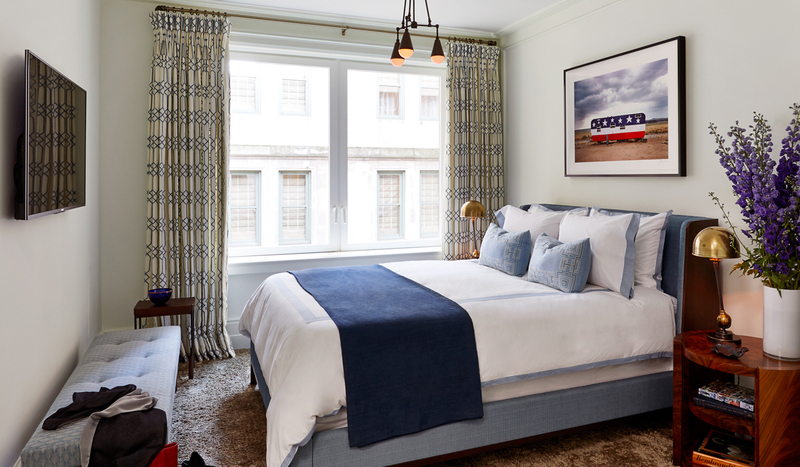 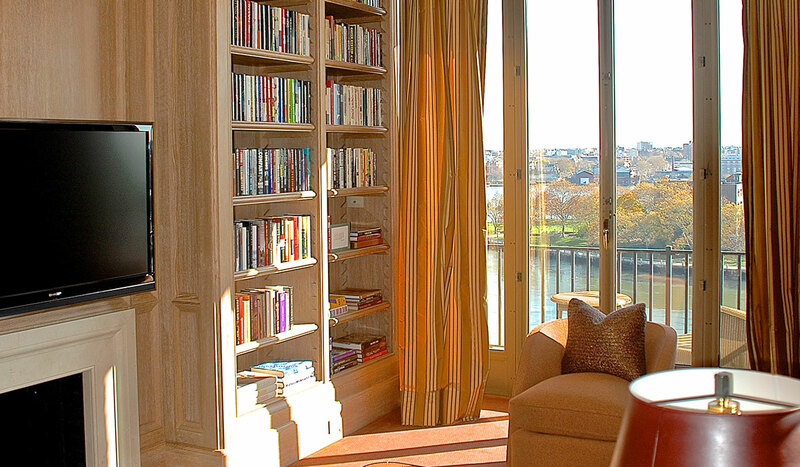 The design and renovation of a collection of rooms in Rosario Candela’s magnificent Italian Renaissance styled building which adjoins Gracie Square Park and contains panoramic views along the East River. 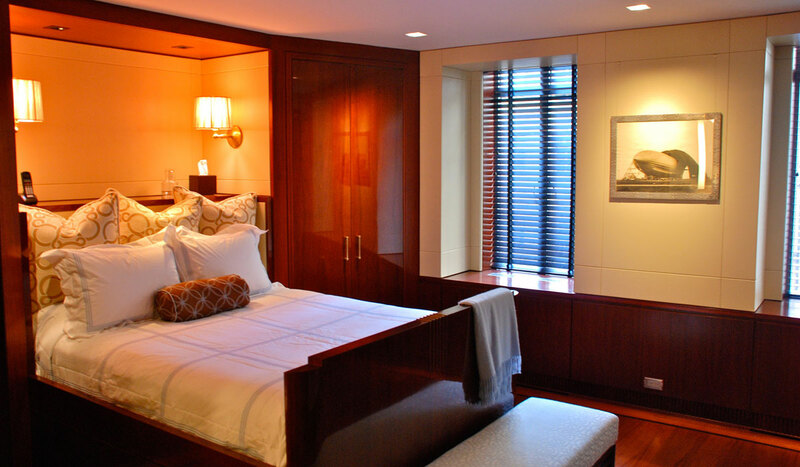 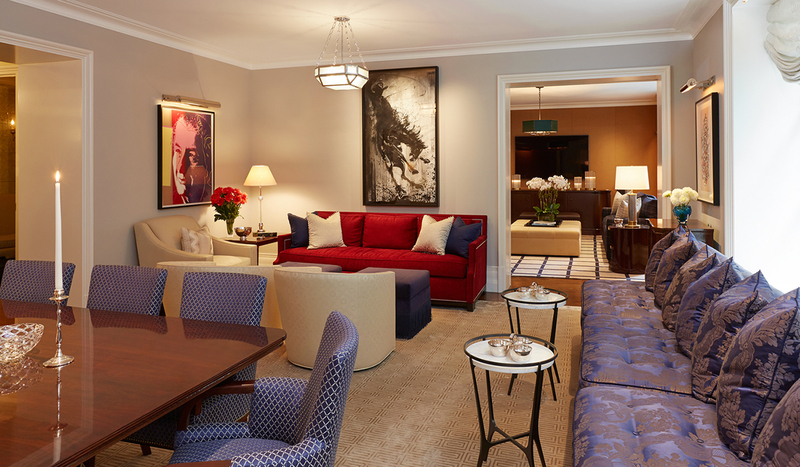 The residence with its grand scale was reorganized with a graceful layout for entertaining and luxurious bedroom suites completed in a series of sequenced renovations. 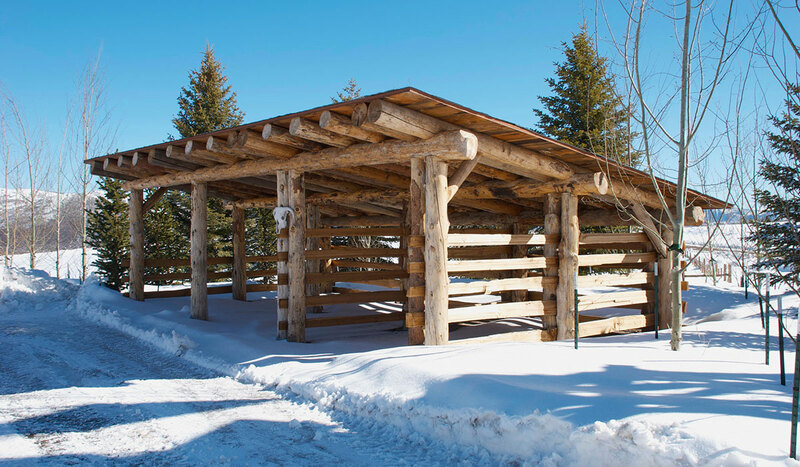 In the great tradition of the historic western frontier, a series of seven rustic camps have been established along the base of Mt. 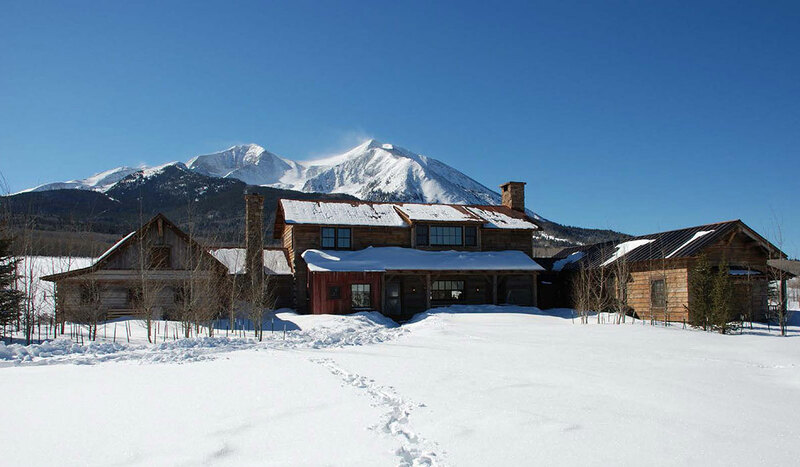 Sopris’ south face providing panoramic views overlooking 10,000 acres of aspen groves, wildflower meadows and wooded pastures of grazing cattle and elk herds. 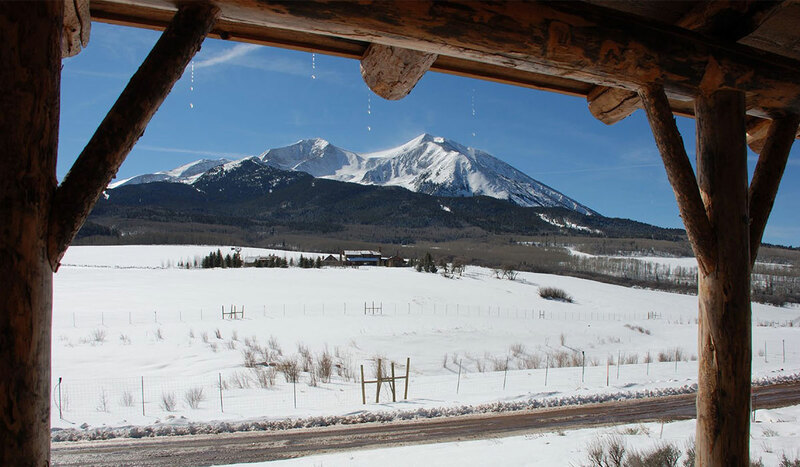 Integrally linked by a series of mountain lakes, riding trails and trout streams, the camps are defined by their activities associated within the working ranch. 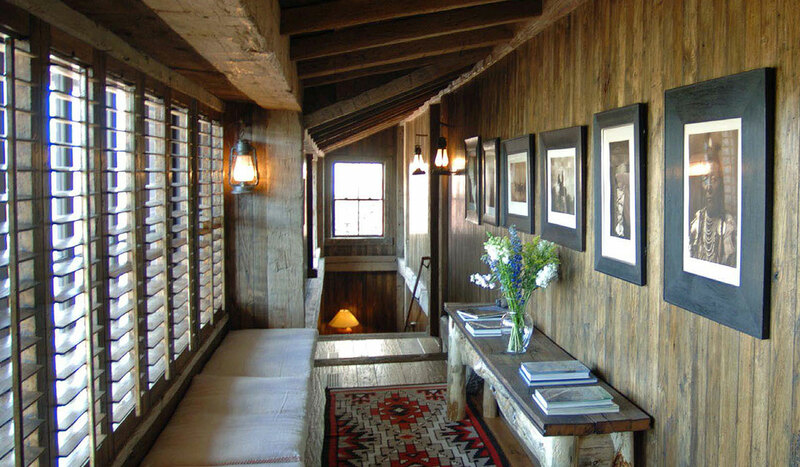 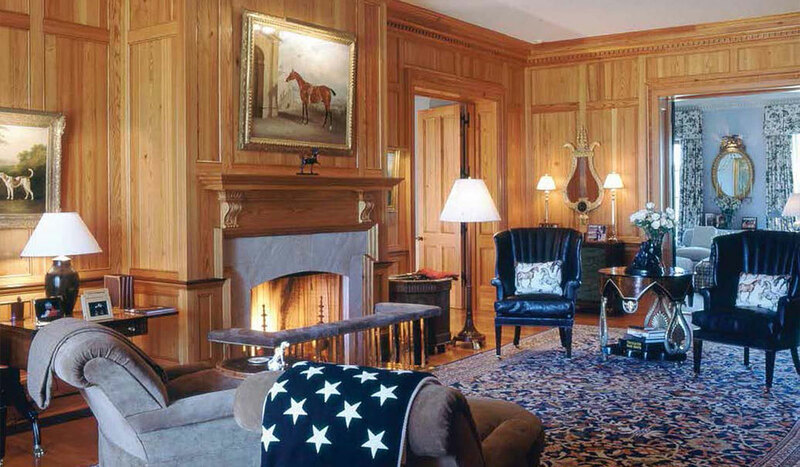 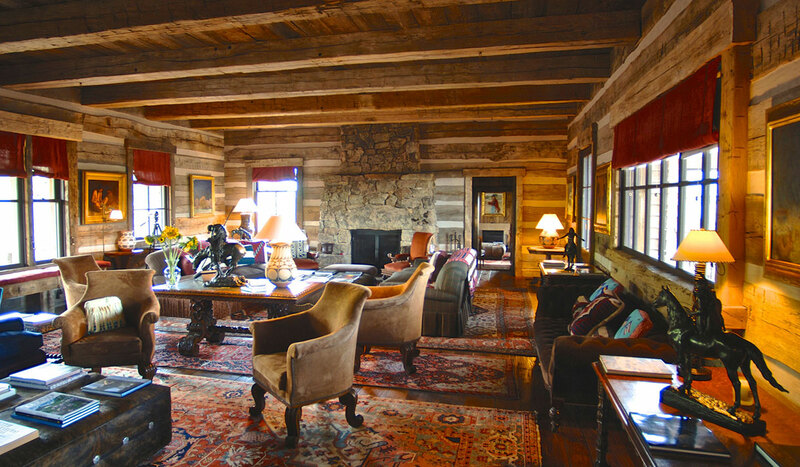 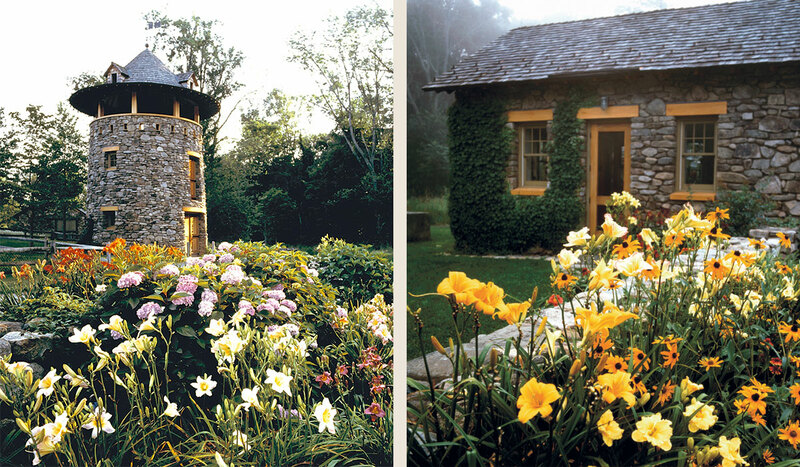 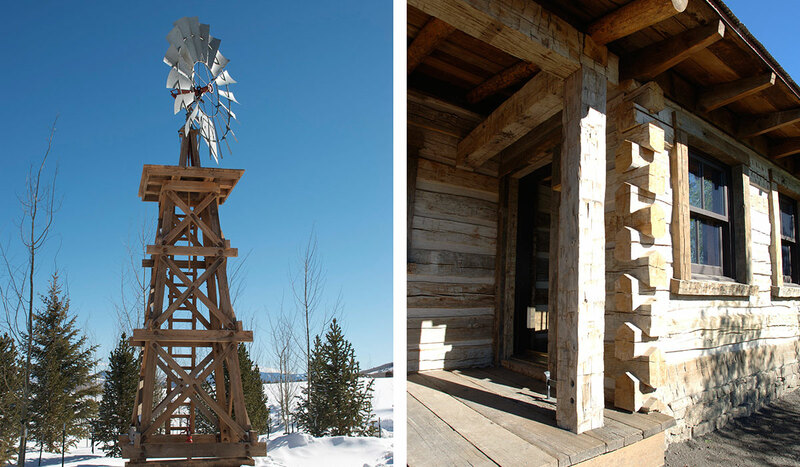 The construction methods for the main house, equestrian complex and riding arena, windmill, and ancillary buildings are a traditional mixture of western logs, reclaimed timber framing, native fieldstone and rustic woodworking, which support cowboys working the seasonal horse cutting operation and create a luxurious wilderness retreat on an existing working ranch reminiscent of the historic homesteads of the mid 19th century American West. 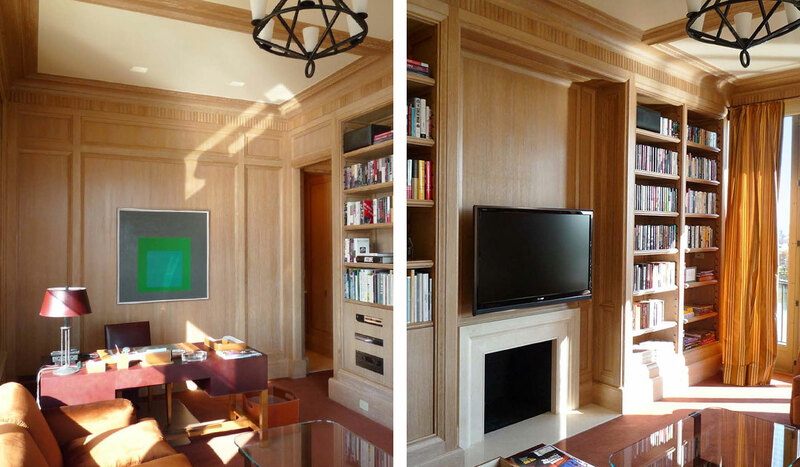 The design and integration of the two multilevel apartments atop this Romanesque styled Upper Westside building from the late 19th Century captures panoramic views of both the Hudson River and Central Park. 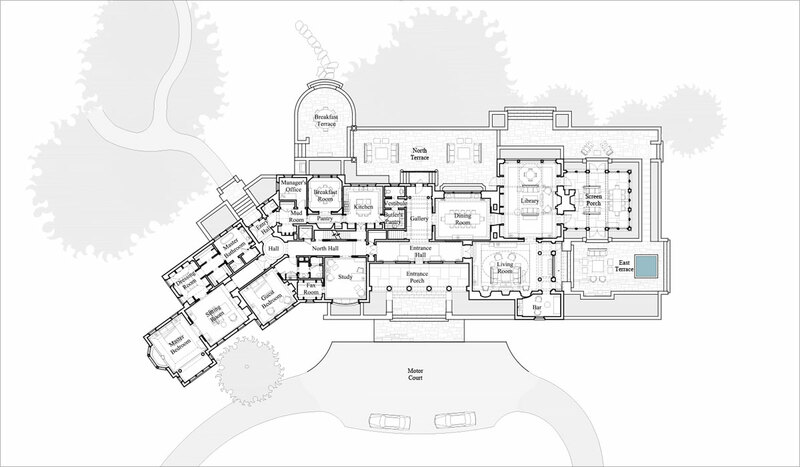 The multi level residence was reshaped with a flexible layout for gracious entertaining and a private scale for a couple surrounded with exquisite gardens, private sundecks, and dining pergolas. 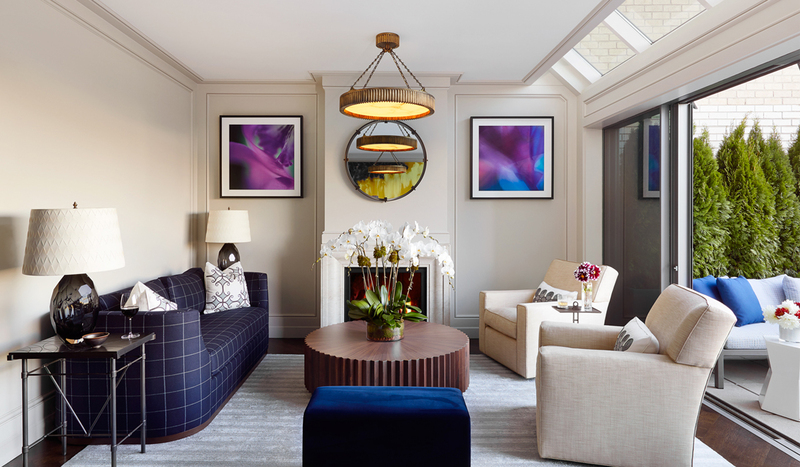 The balance of combining equally both interior and exterior spaces in an array of orientations and levels was laid out to allow the apartment to receive an abundance of daylight throughout the day and the seasons. 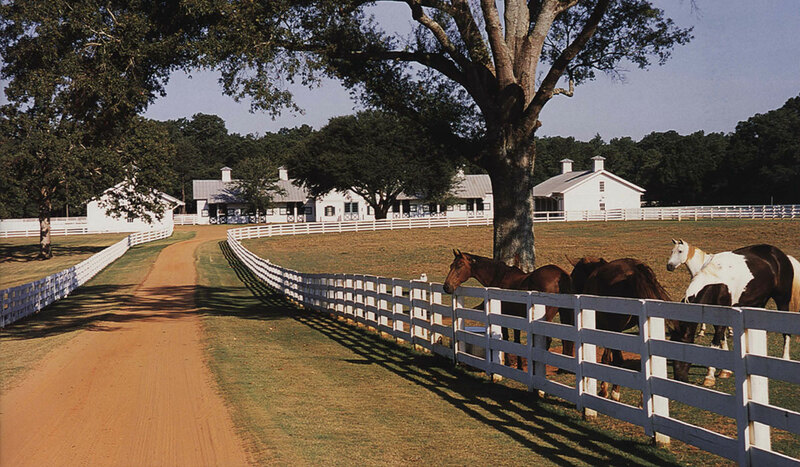 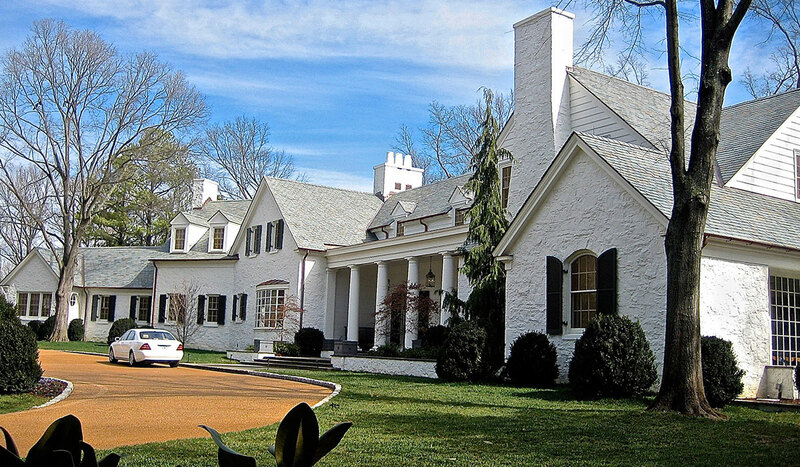 The master plan of the 12-acre estate includes the integration of the existing 1946 high-styled southern colonial plantation house with a series of new amenity buildings including a lap pool, potting shed, garage, security pavilion, tennis cabana and a pool house with guestrooms. 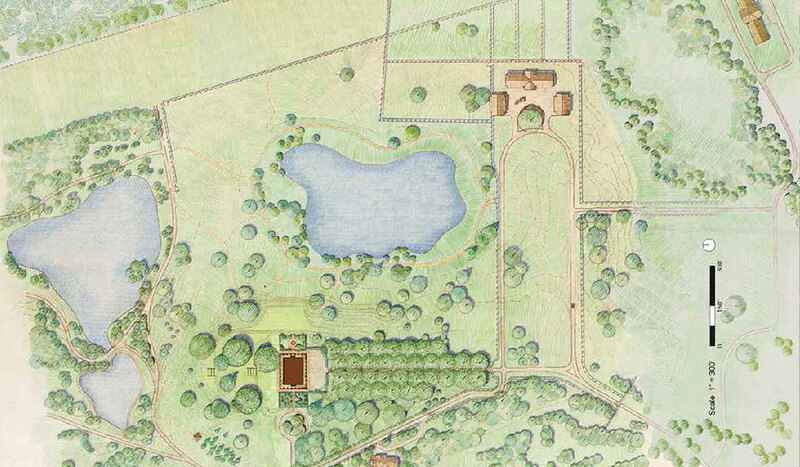 The complex of buildings were organized around a historic grove of oak trees surrounding a central pond and a series of radiating walking trails leading to accessory structures throughout the property. 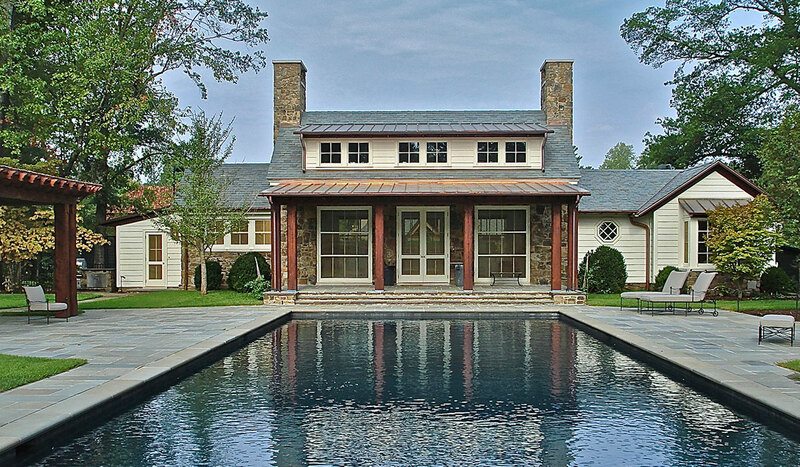 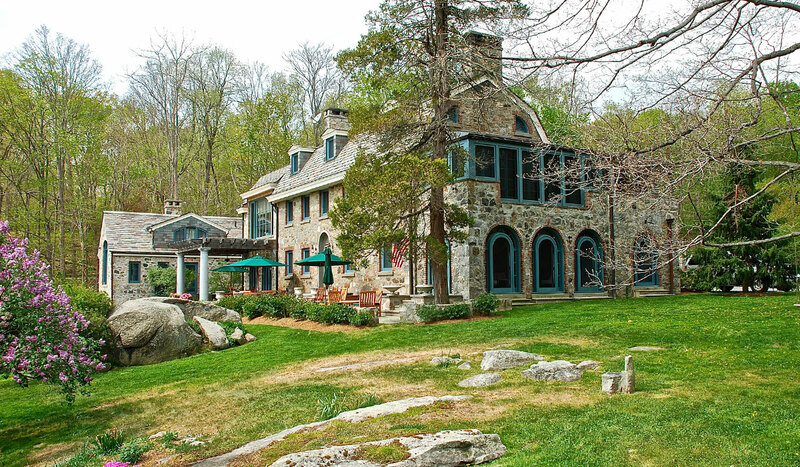 The comprehensive renovation and expansion of the spacious 15,000 square foot stone and timber main house is located atop a large meadow commanding sweeping pastoral views on the two major facades. 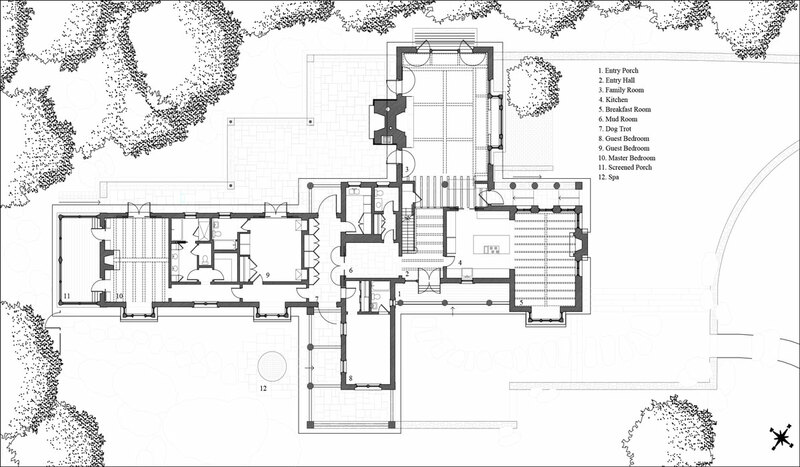 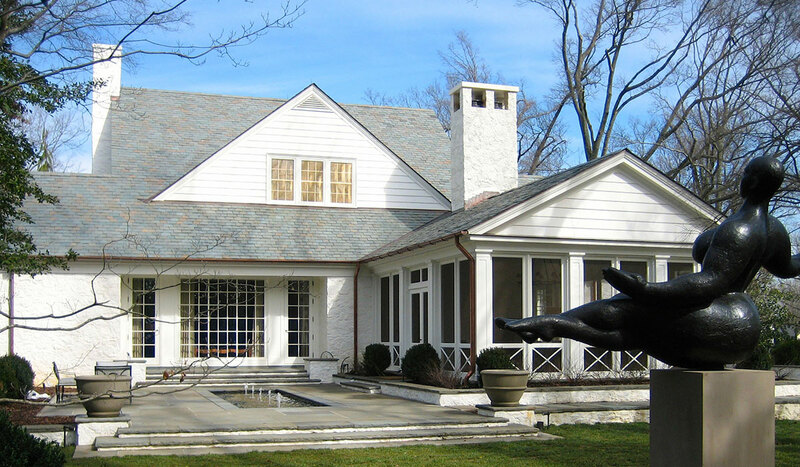 The expansion was spatially reorganized to provide a distinctive balance between the public and private spaces for a large family with spacious outdoor rooms to the east and western facades for both intimate gatherings and public functions within monumental sculptures in the distant vista. 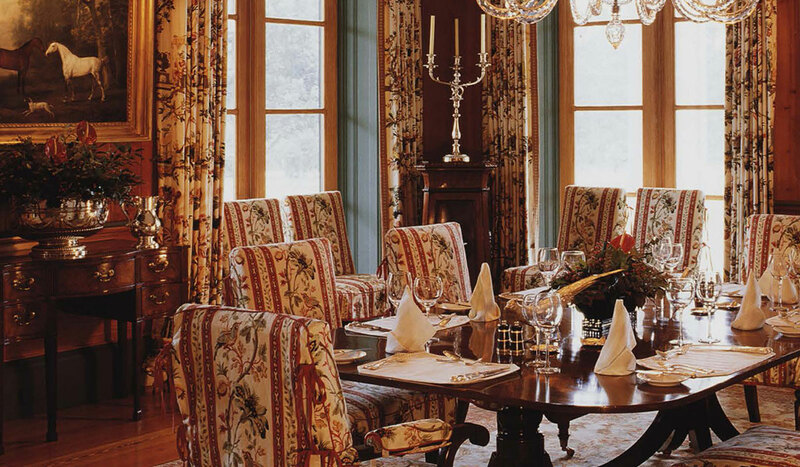 The architectural design and decorative furnishings are inspired by the avant-garde of the French 1925 Exposition International Des Arts Decoratifs et Industriels Moderns. 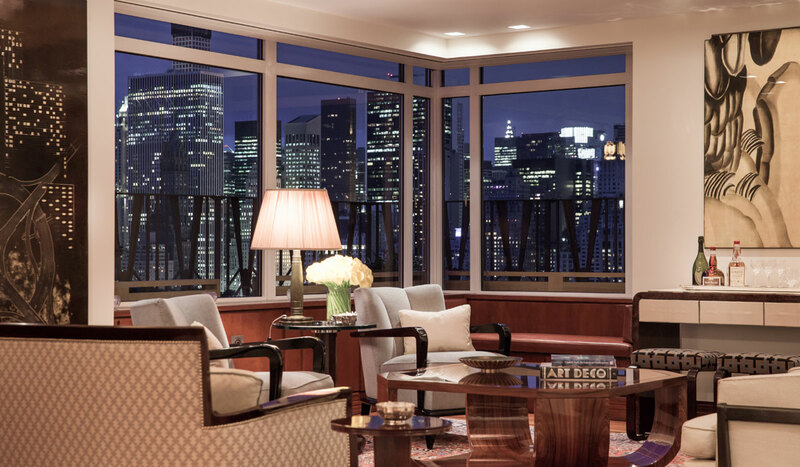 Framing majestic views of the Hudson River, Theodore Roosevelt Park, The American Museum of Natural History Building and Central Park beyond, the parti is organized by a series of adjacent rooms linked by the sightlines of the surrounding vistas. 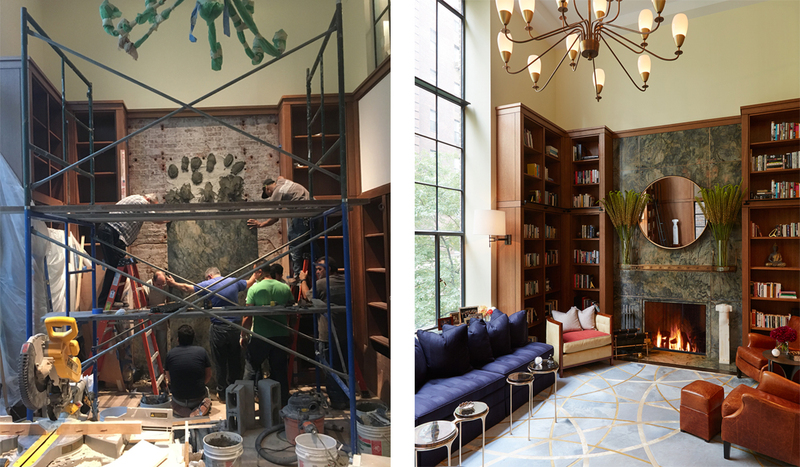 The collection of artisans contributing to the renovation includes furniture by Jacques Adnet, ironwork of Edger Brandt, glasswork of Rene Lalique and various custom pieces of furniture to enforce the clarity and function of the architectural elements. 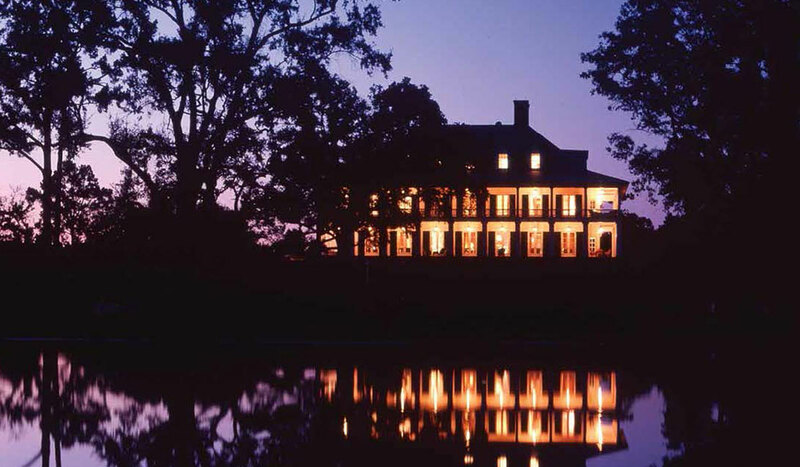 The restoration of an early 20th century luxury hotel with panoramic views of Storm King and the Catskill mountain range beyond was converted into a private residence and restored to its grand elegance when it served as a social refuge to New York City’s elite. 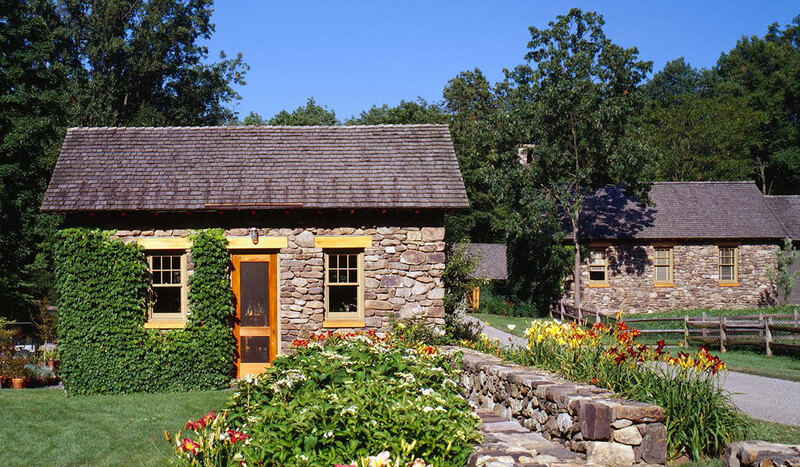 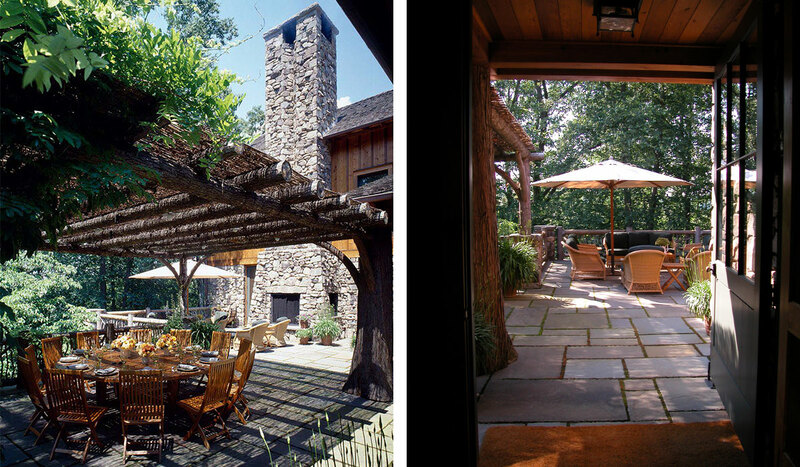 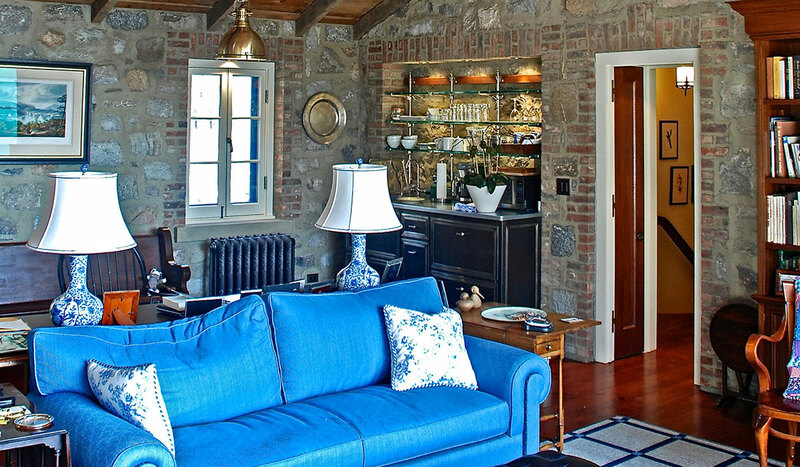 A beautiful wilderness retreat, tucked into the wooded hillside above the shoreline of the Hudson River, features a main lodge, guesthouse, writer’s cabin and caretaker’s cottage. 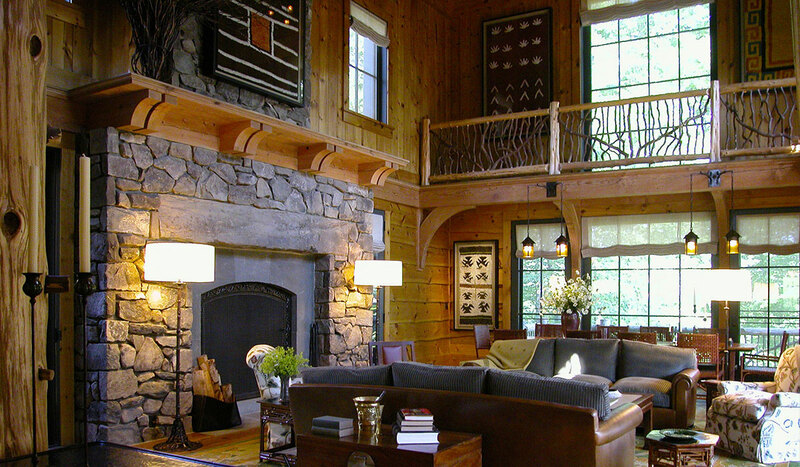 Mastered in traditional timber frame construction with slate shingles, the two-story lodge opens its massive indigenous fieldstone walls onto a terrace with panoramic mountain and river views beyond, while the natural rocky grade drops swiftly towards the shoreline. 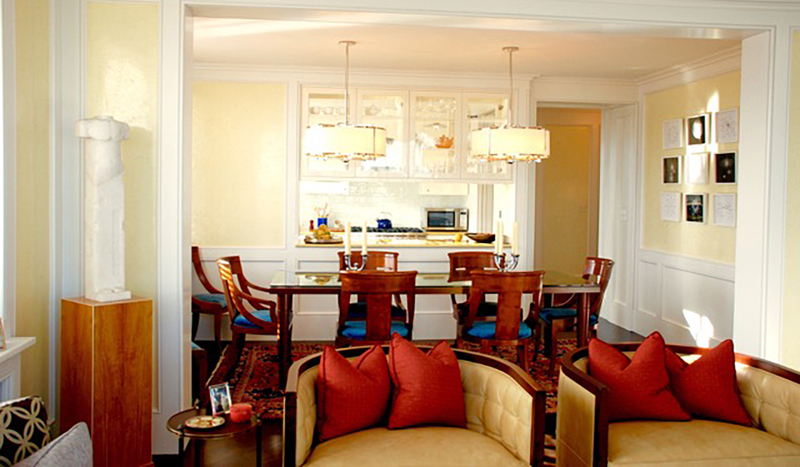 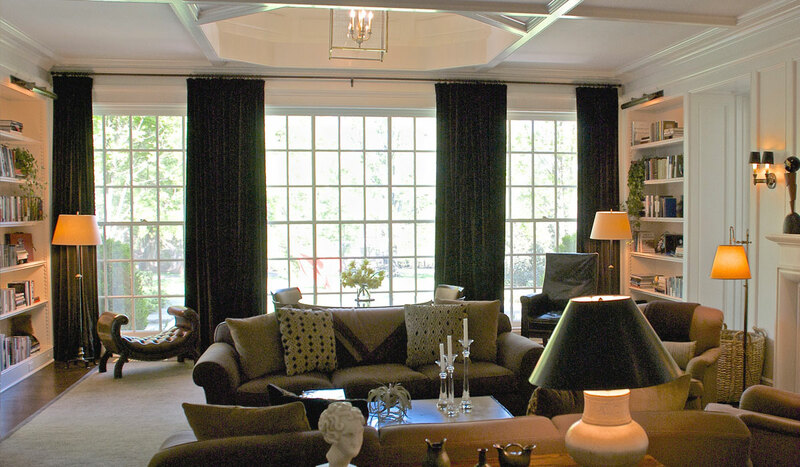 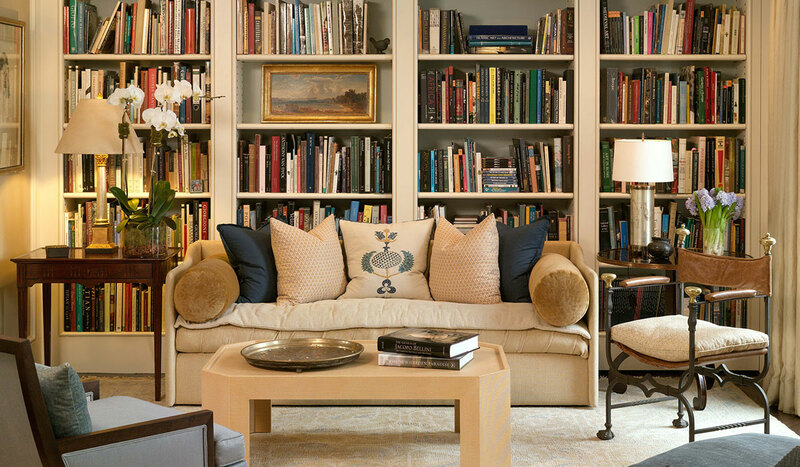 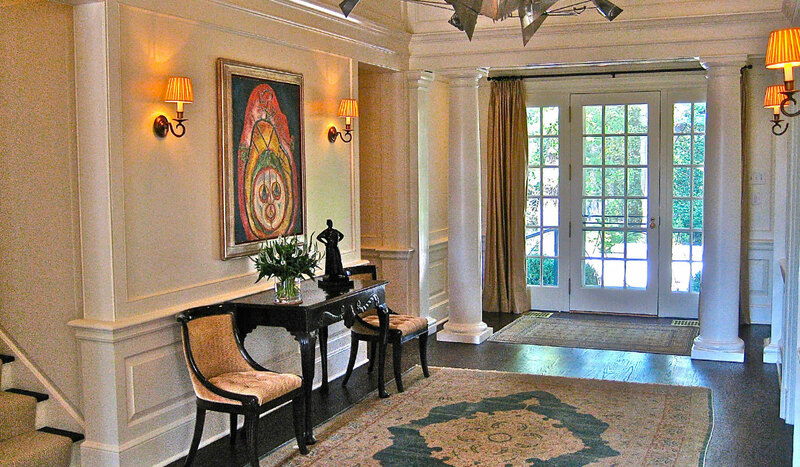 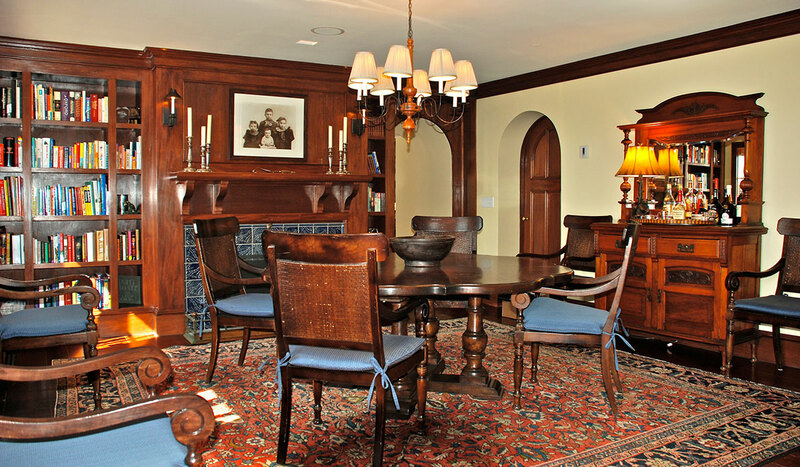 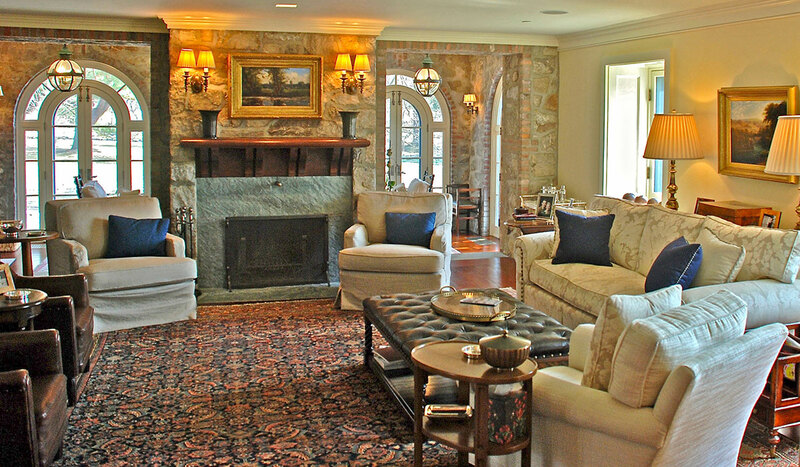 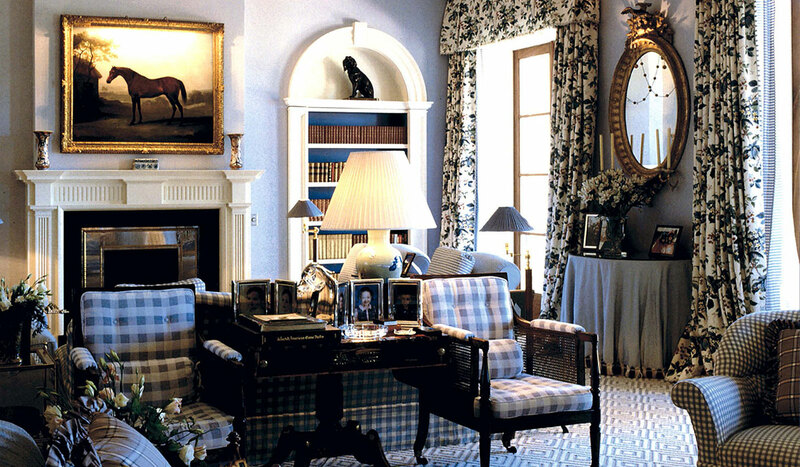 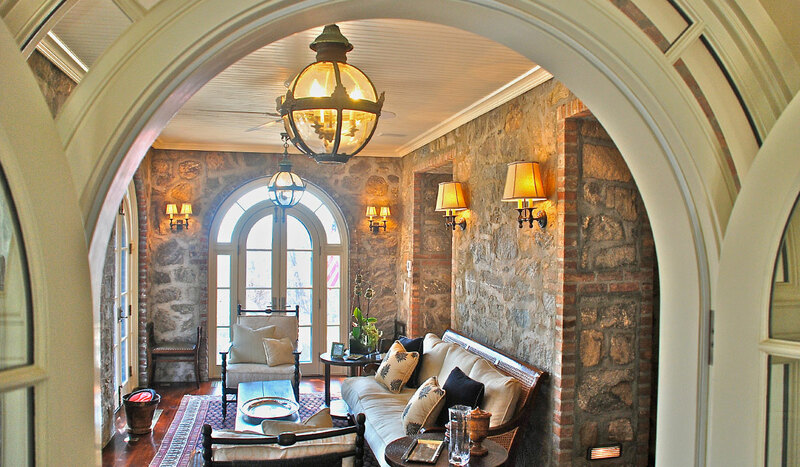 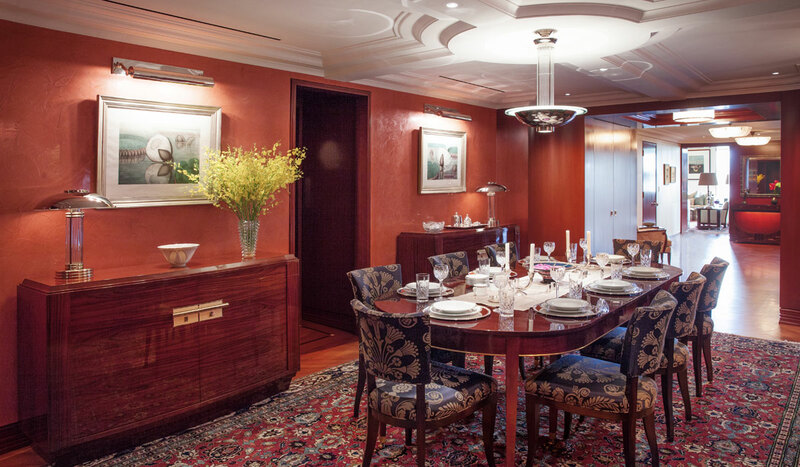 The decorative furnishings reflect the client’s interest in turn of the century American and French antiques along with historic artwork from the local painters and print makers of the Hudson River School.